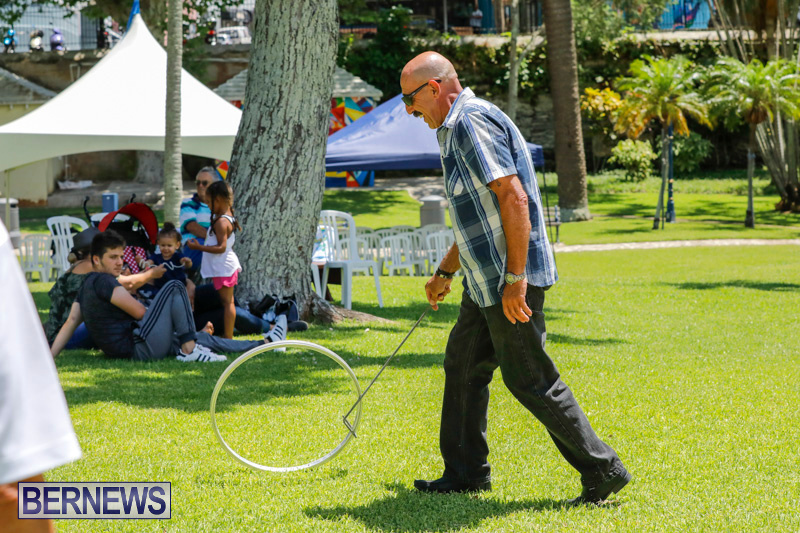 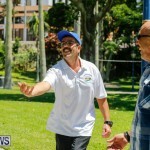 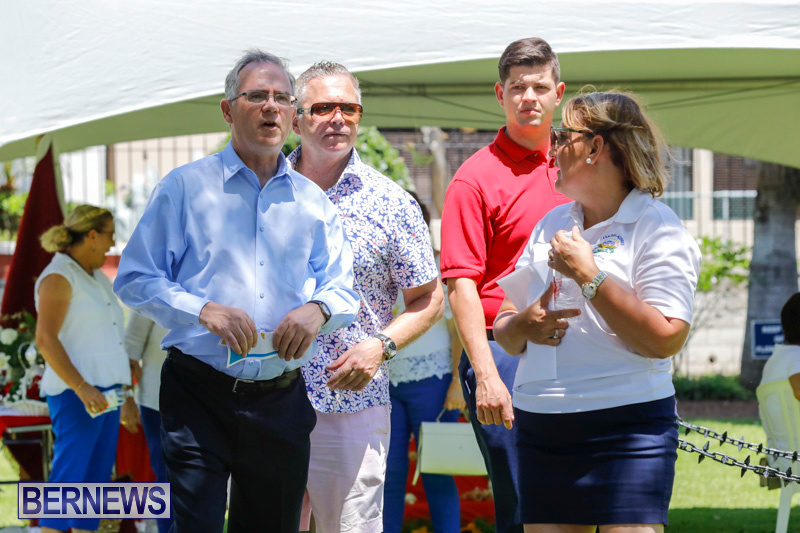 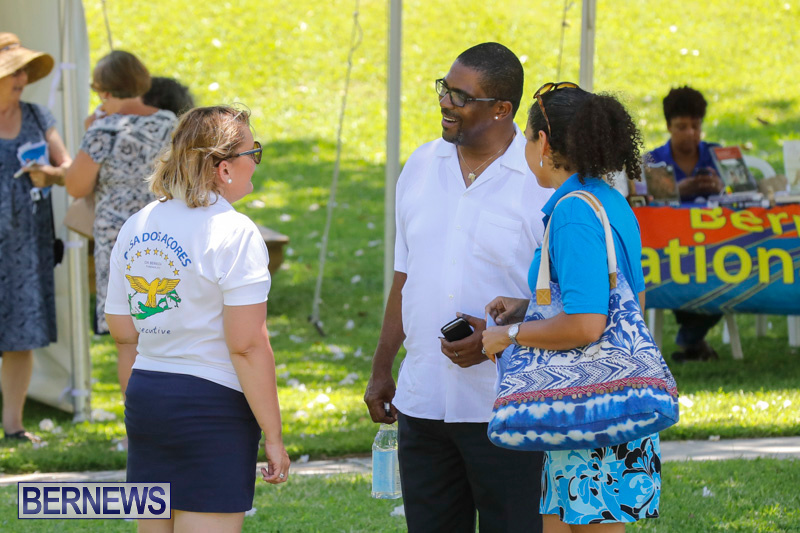 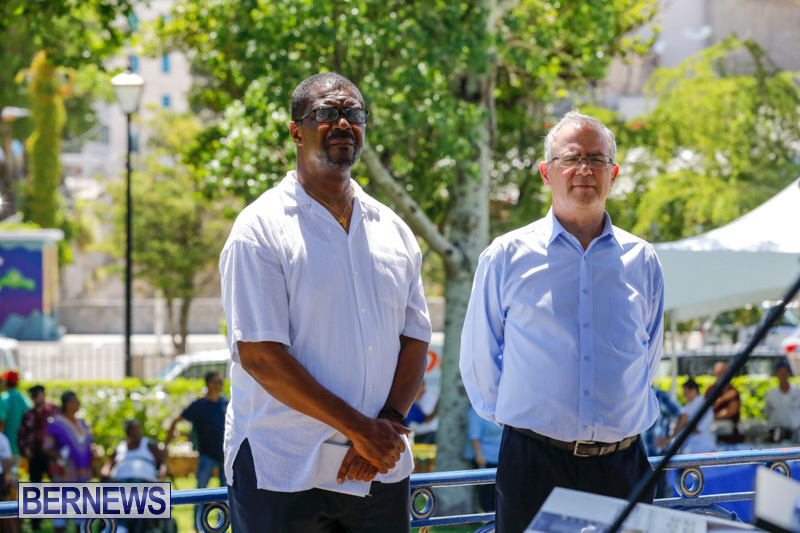 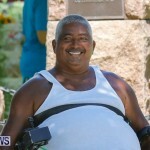 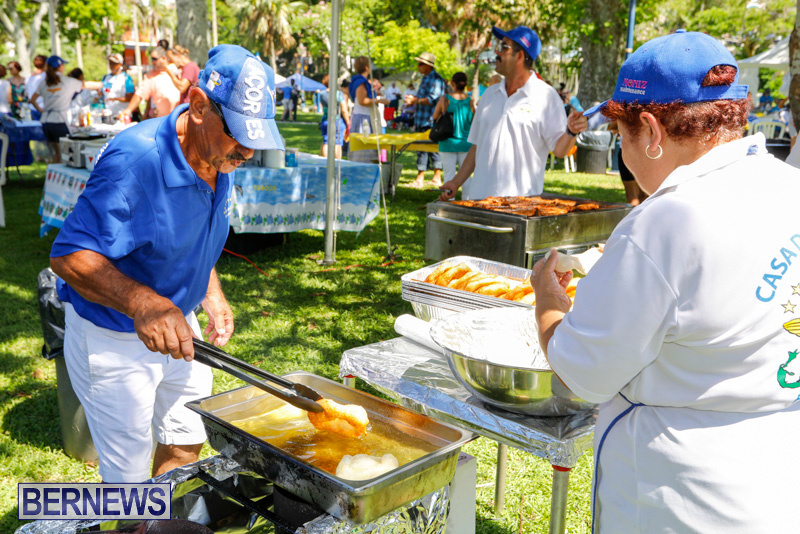 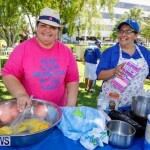 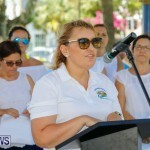 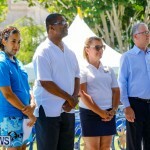 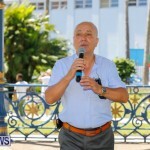 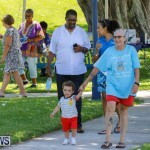 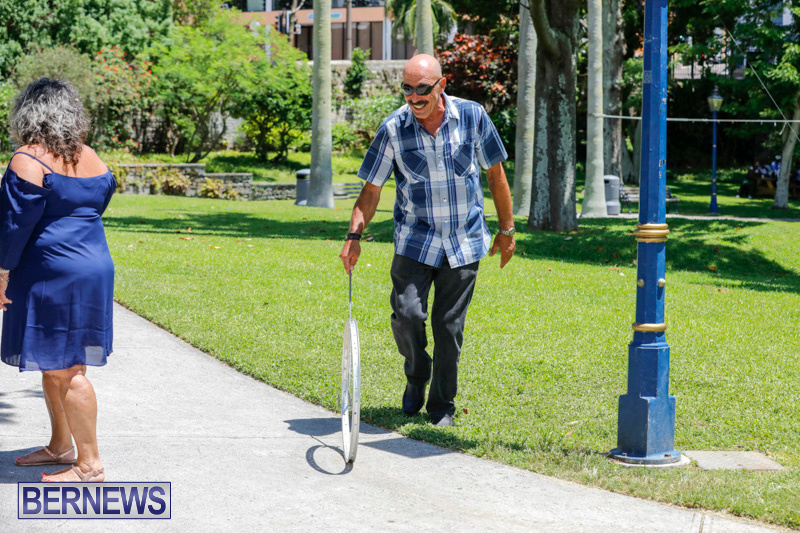 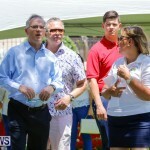 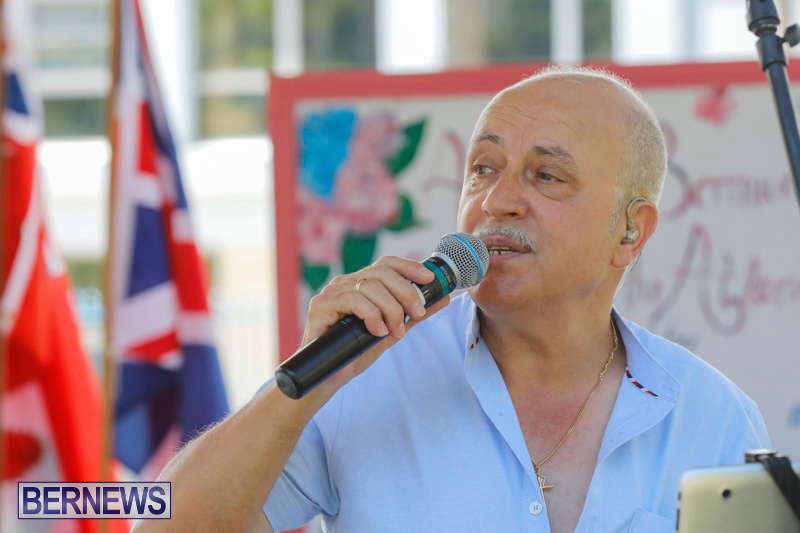 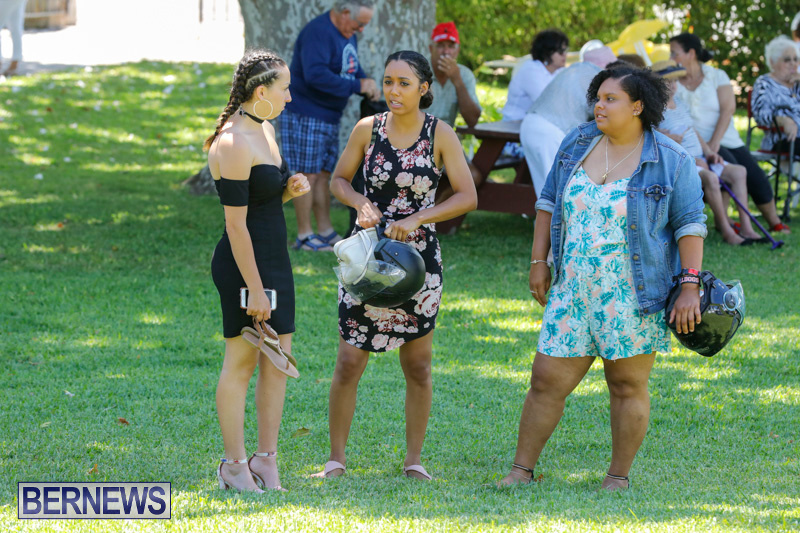 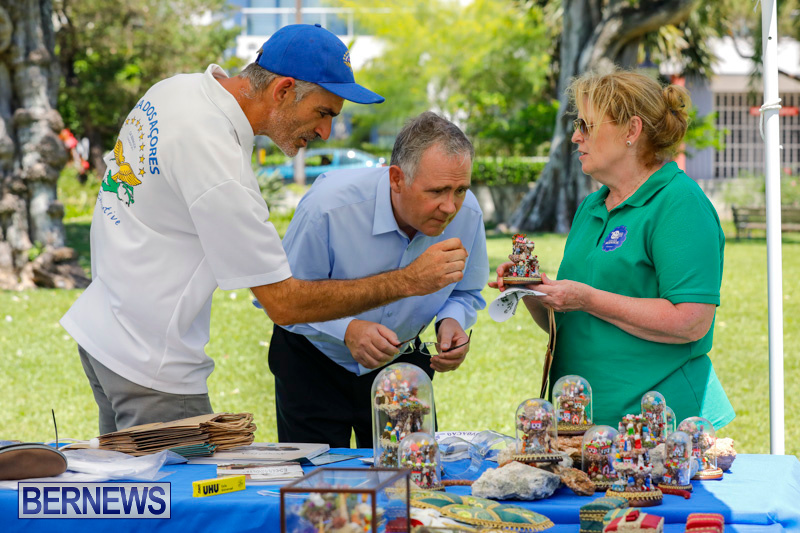 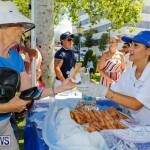 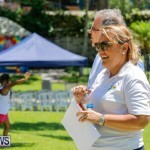 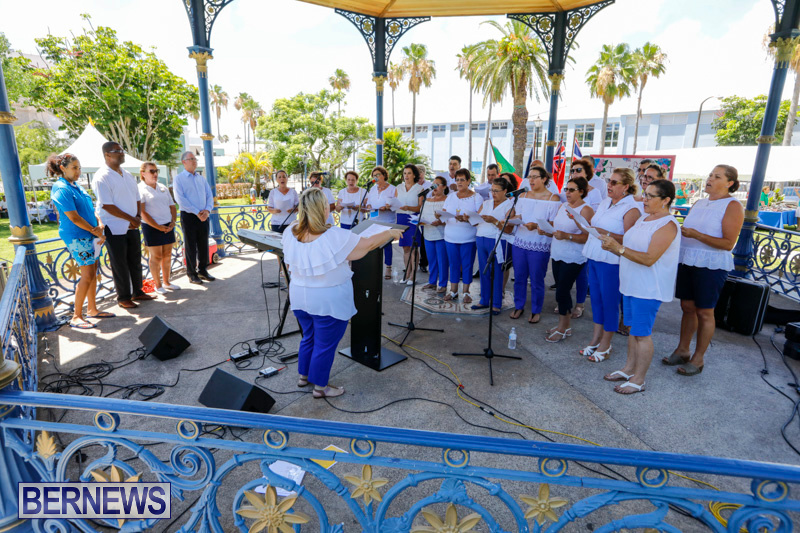 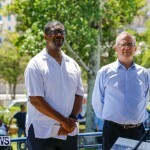 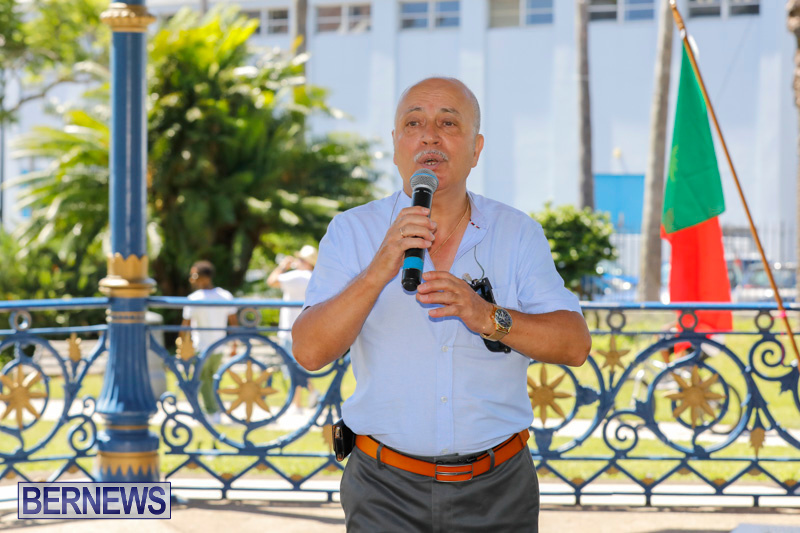 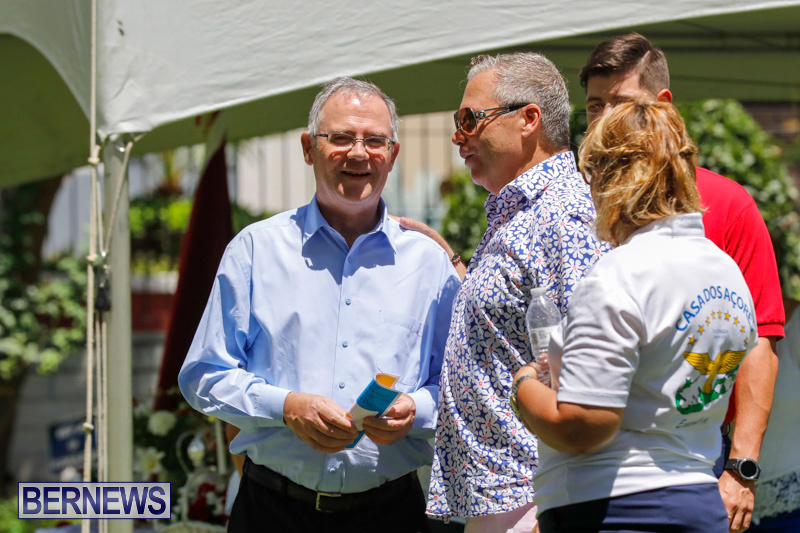 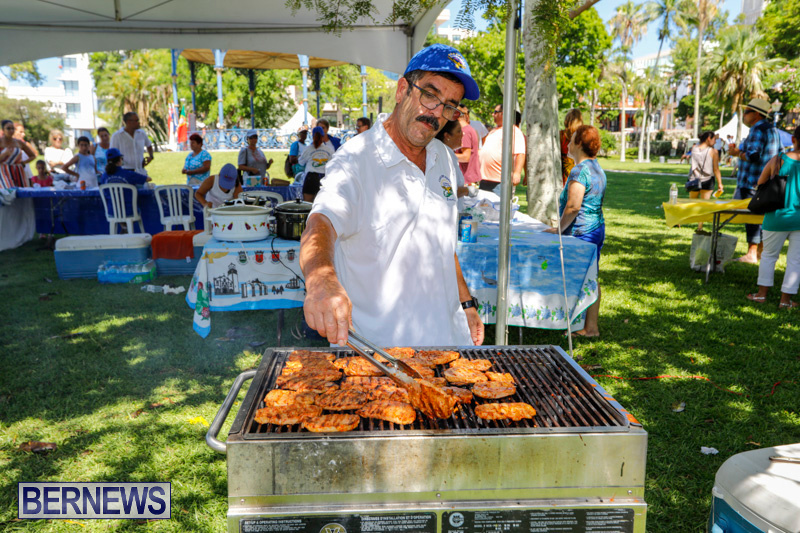 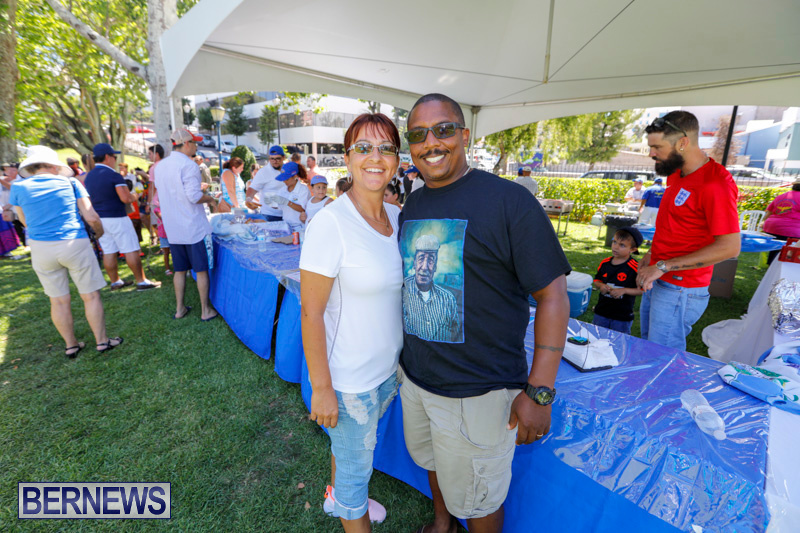 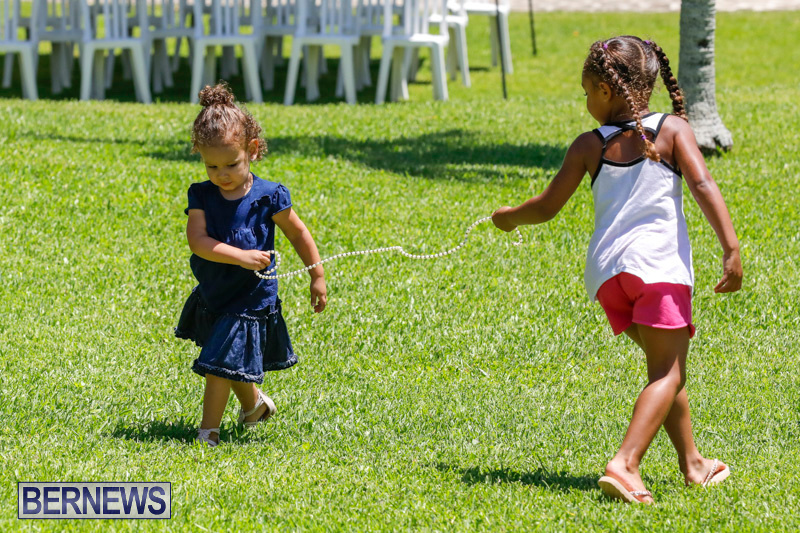 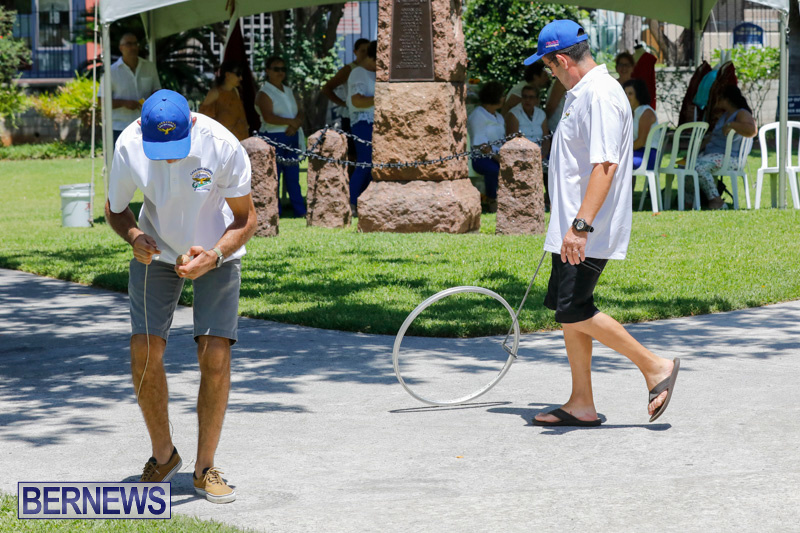 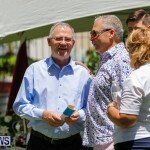 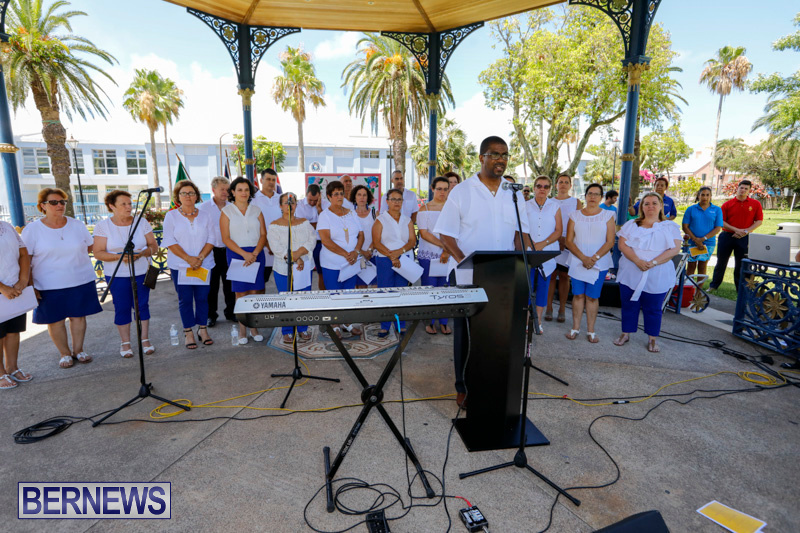 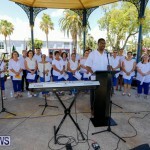 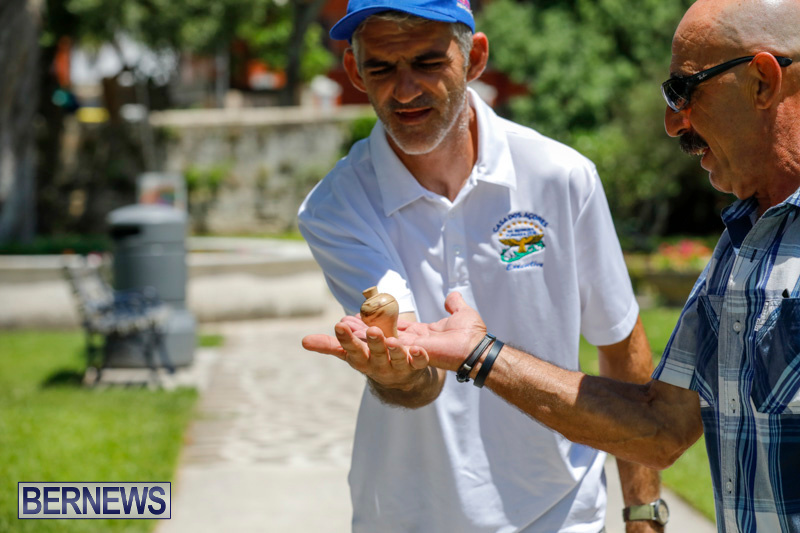 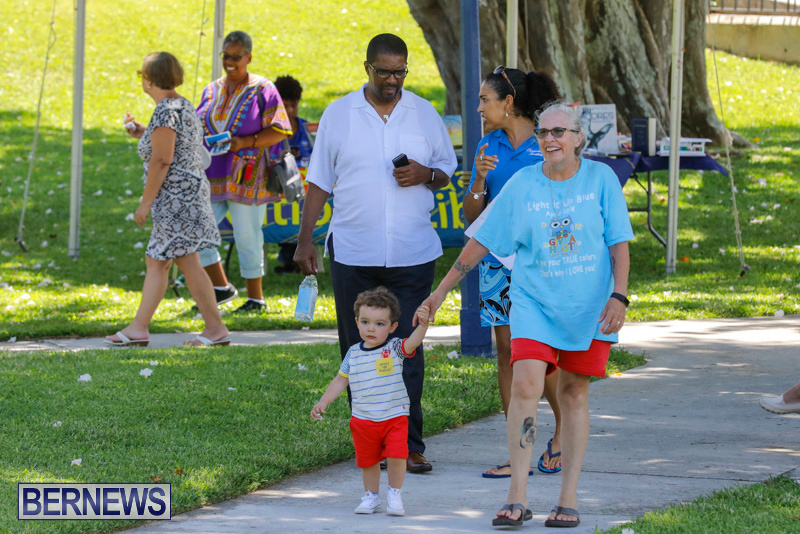 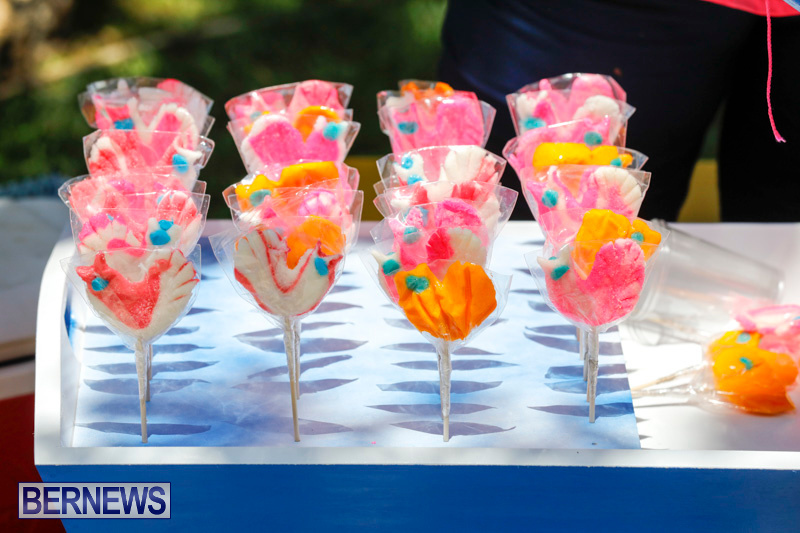 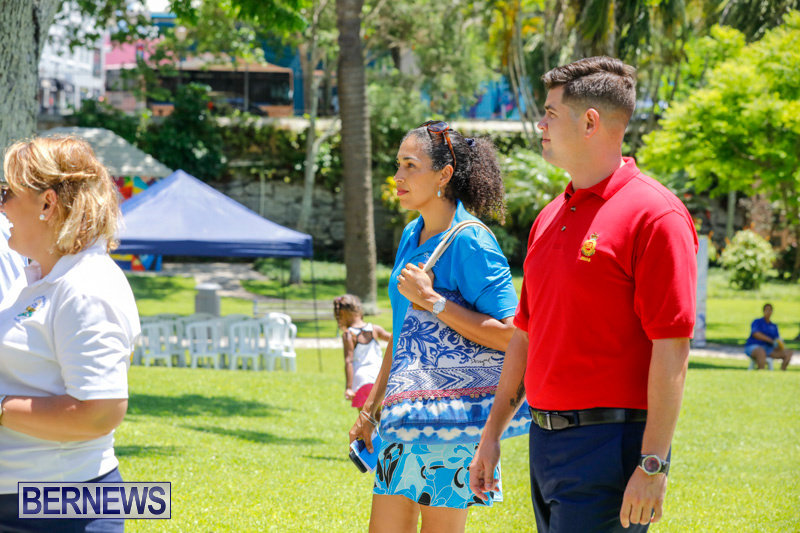 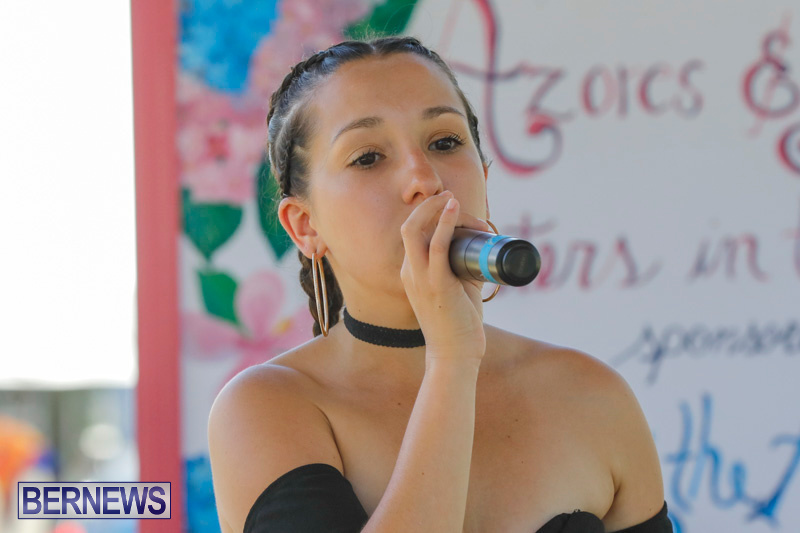 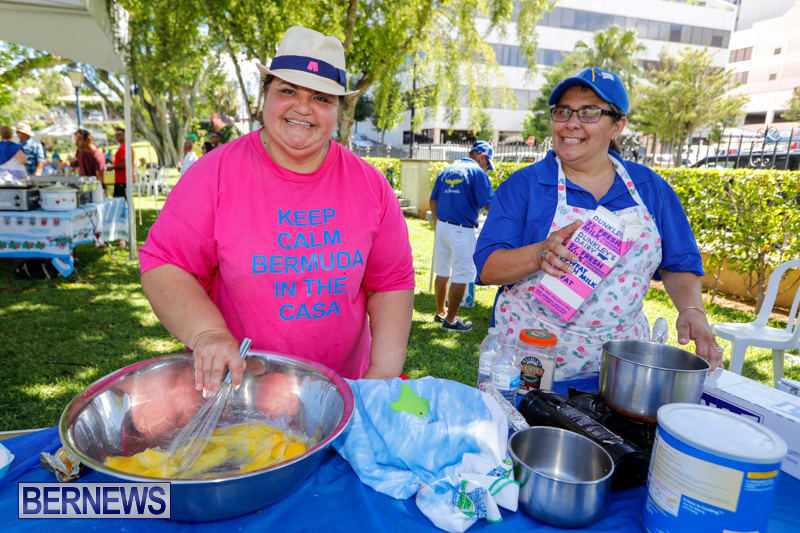 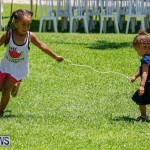 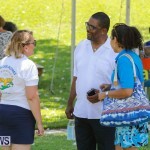 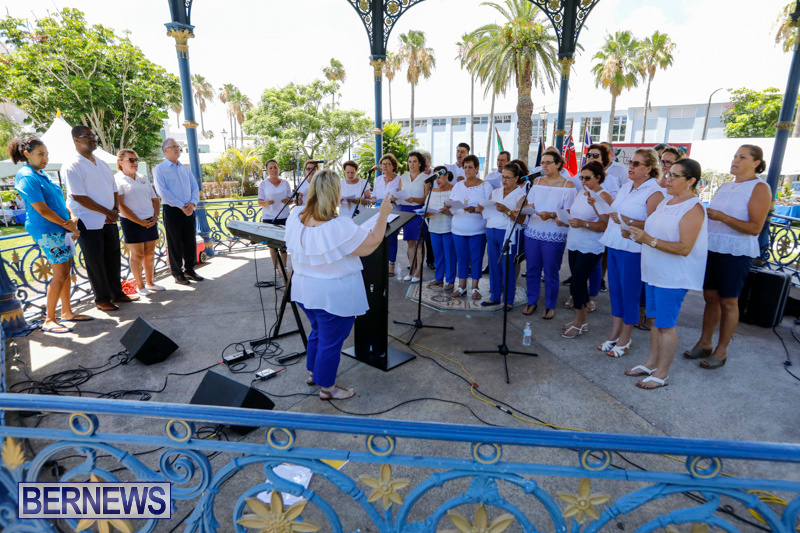 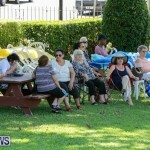 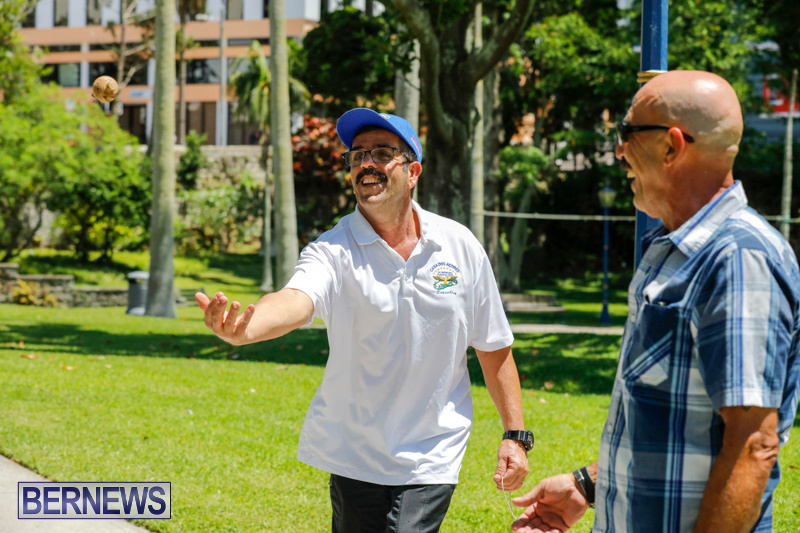 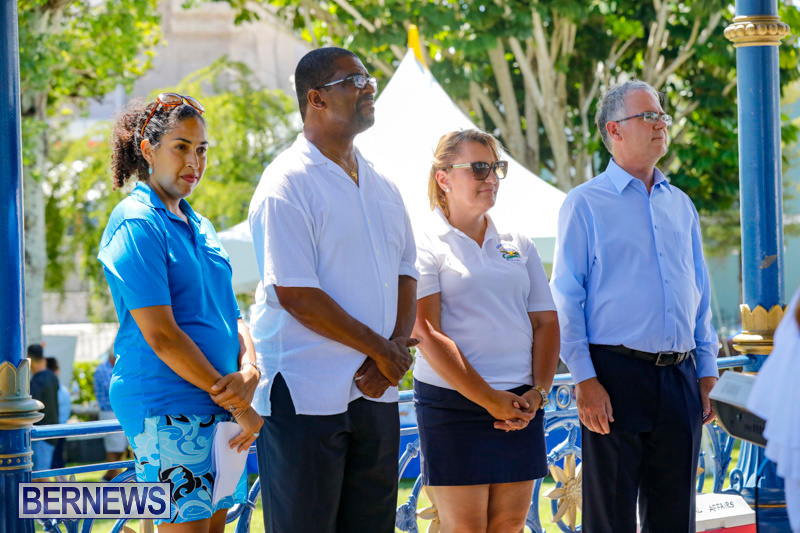 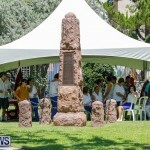 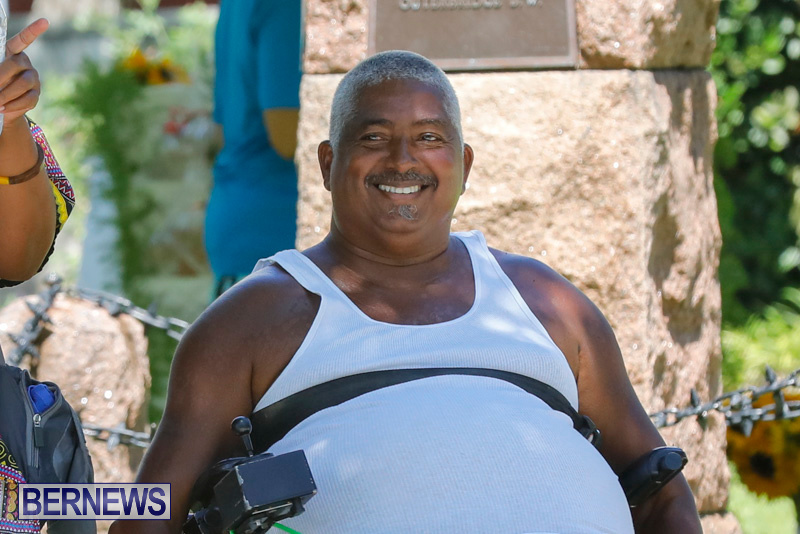 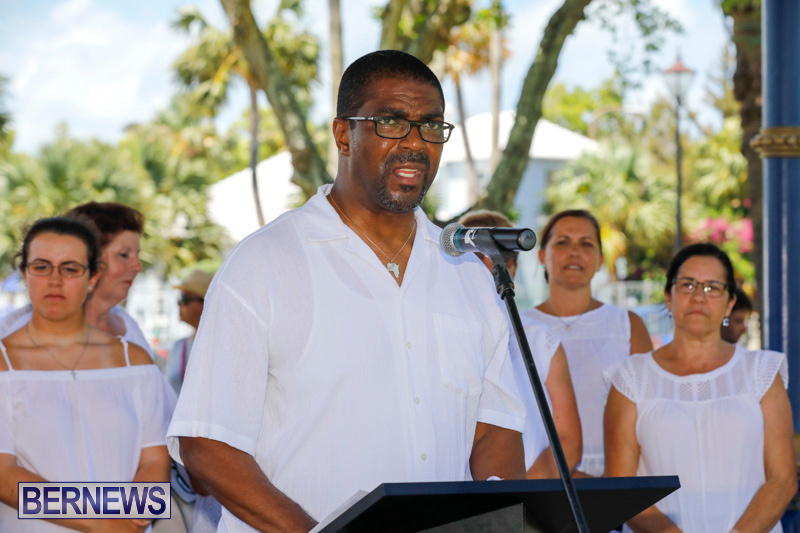 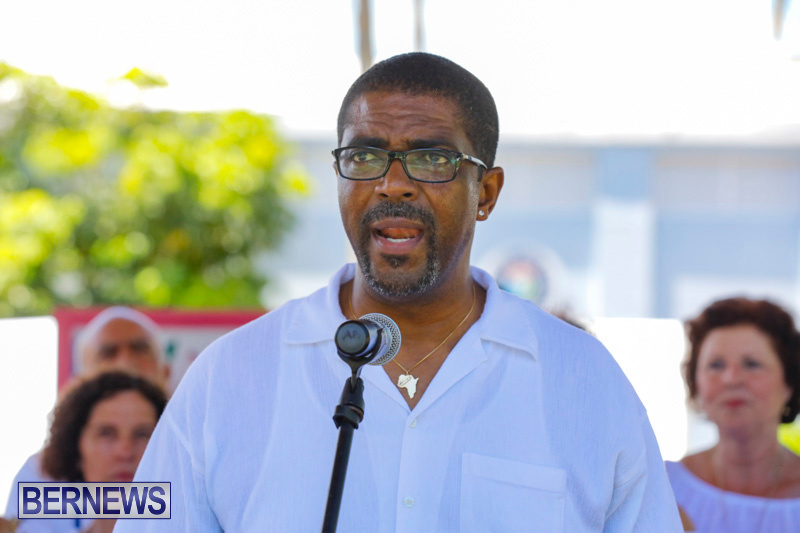 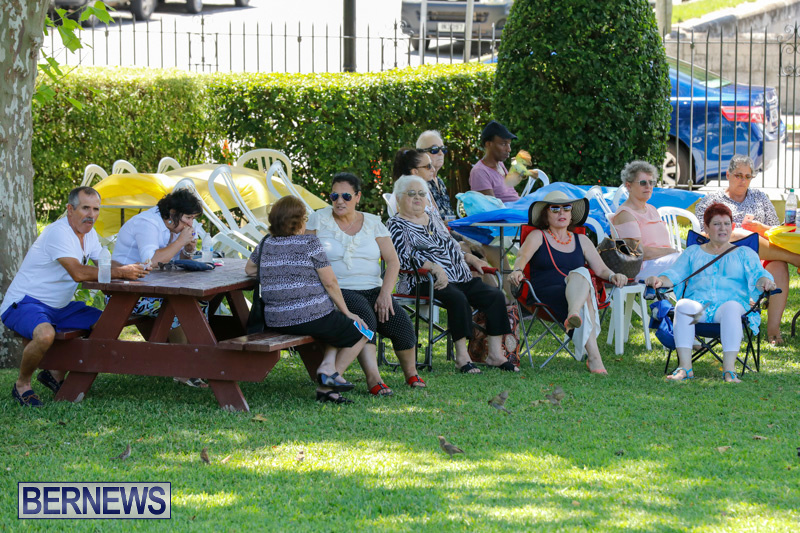 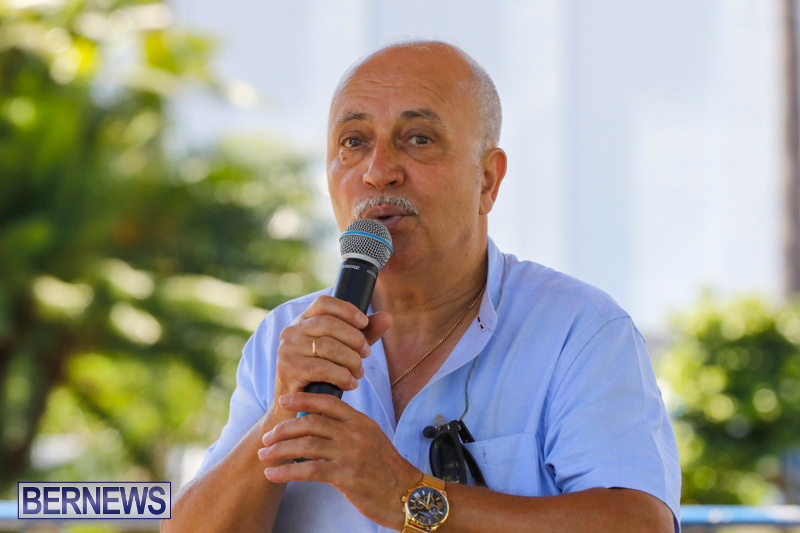 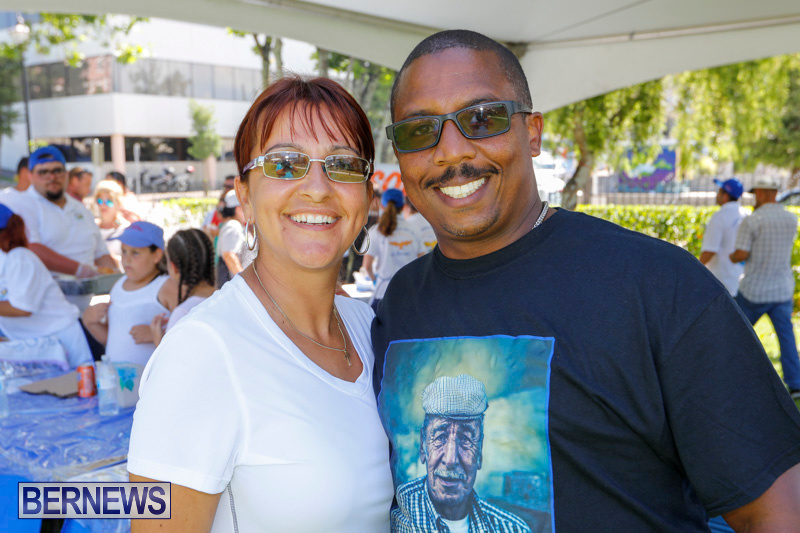 The Department of Community and Cultural Affairs in collaboration with Casa dos Acores da Bermuda celebrated “Azores Day” at Victoria Park today [June 24]. 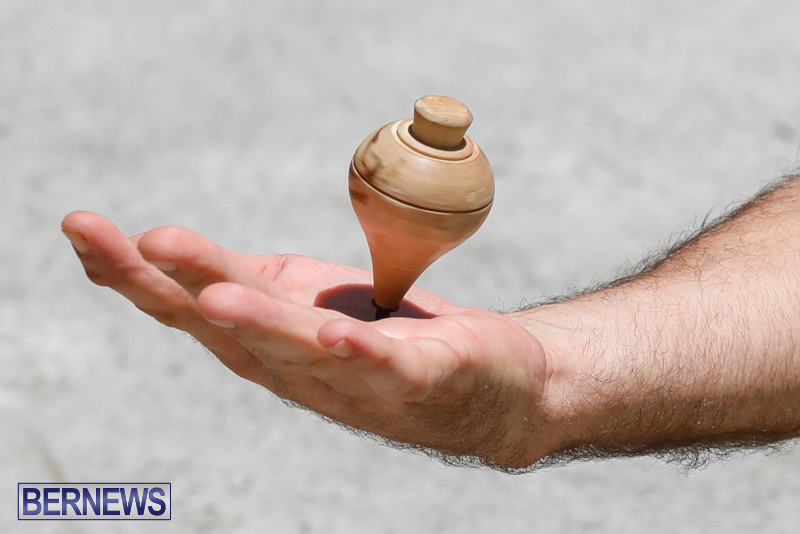 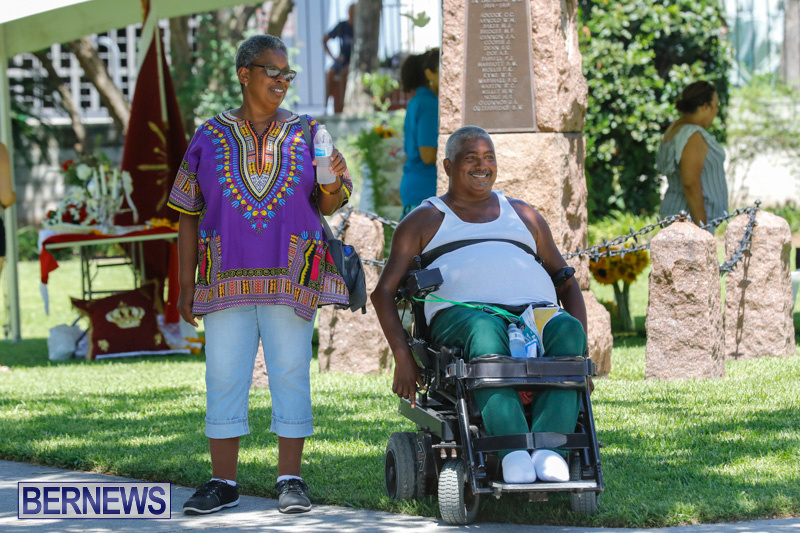 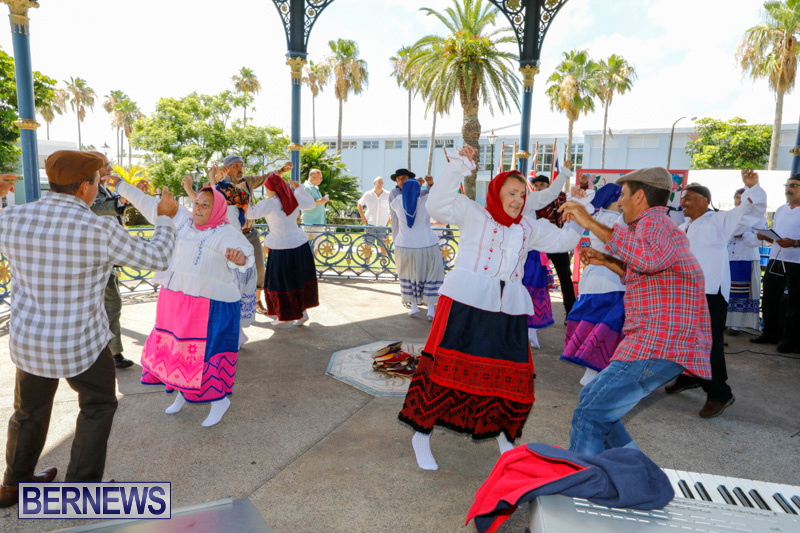 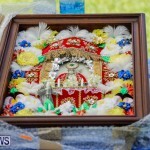 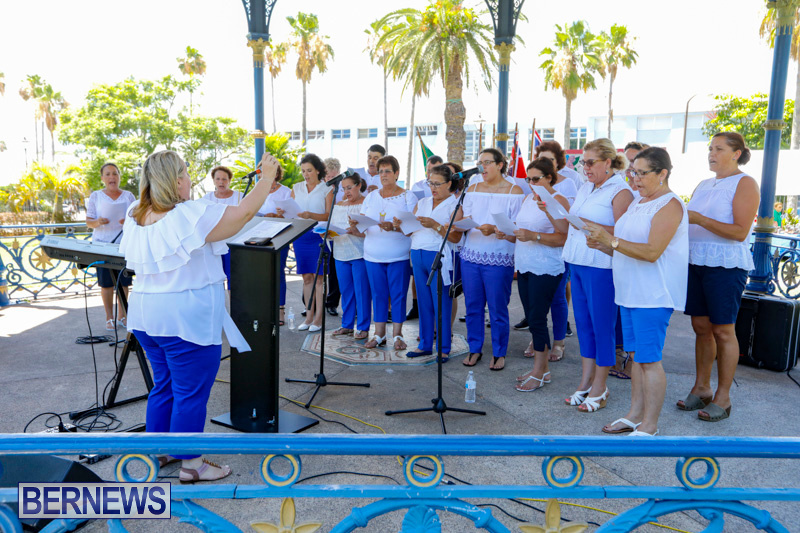 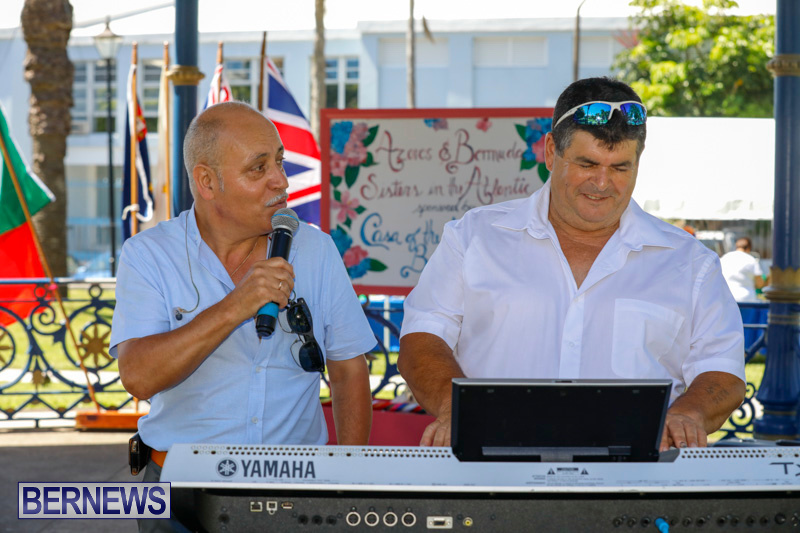 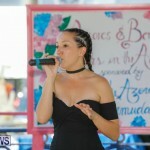 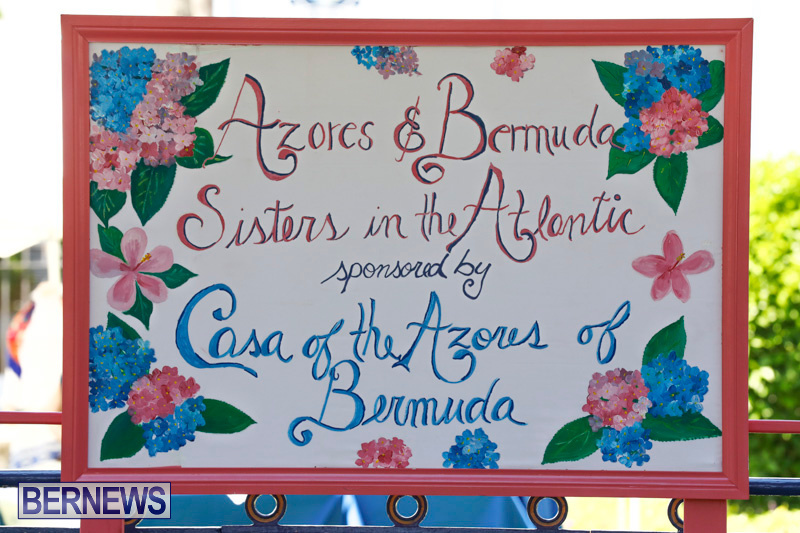 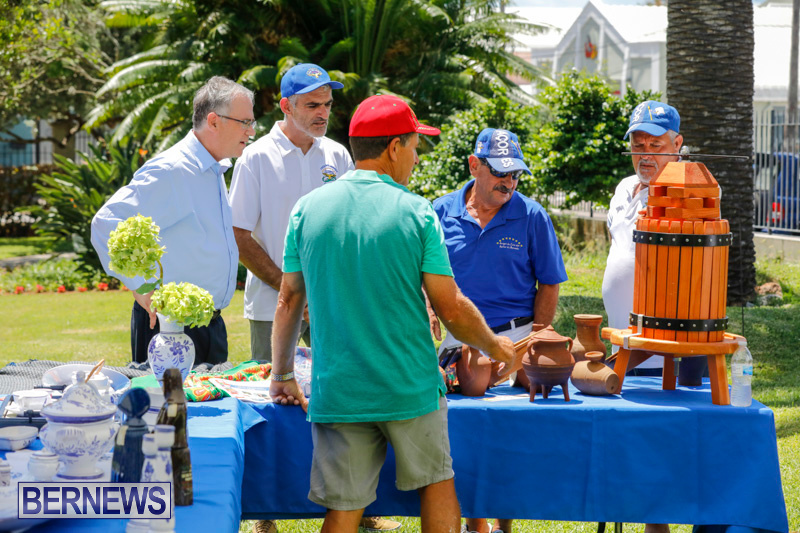 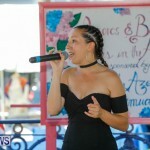 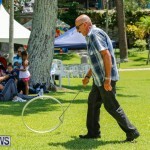 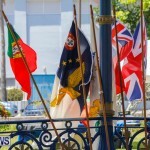 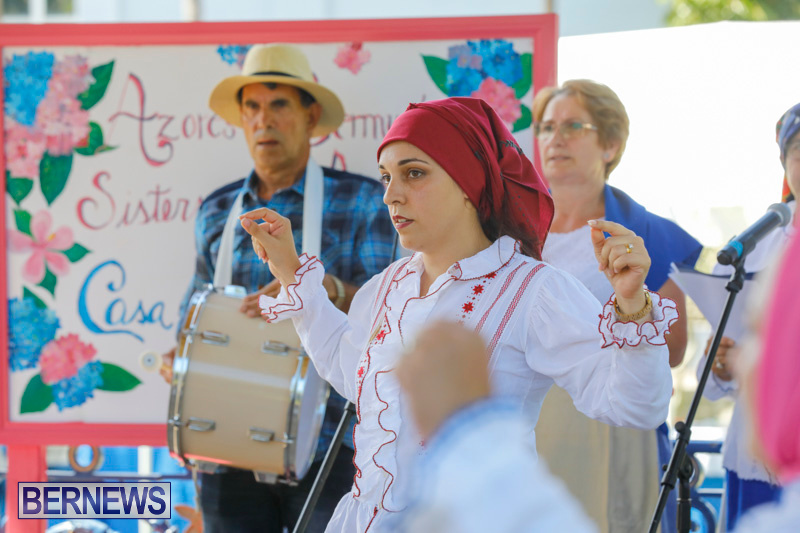 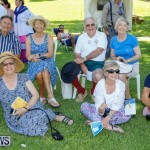 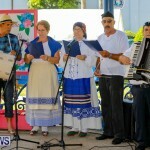 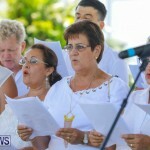 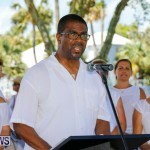 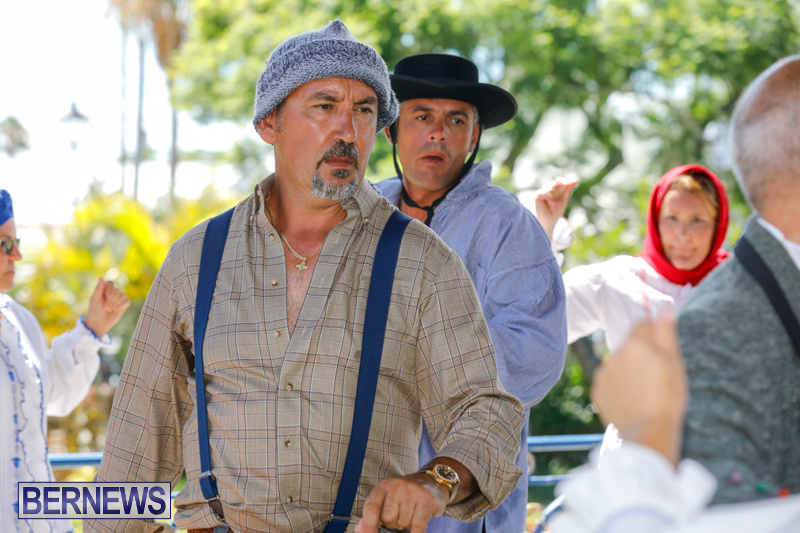 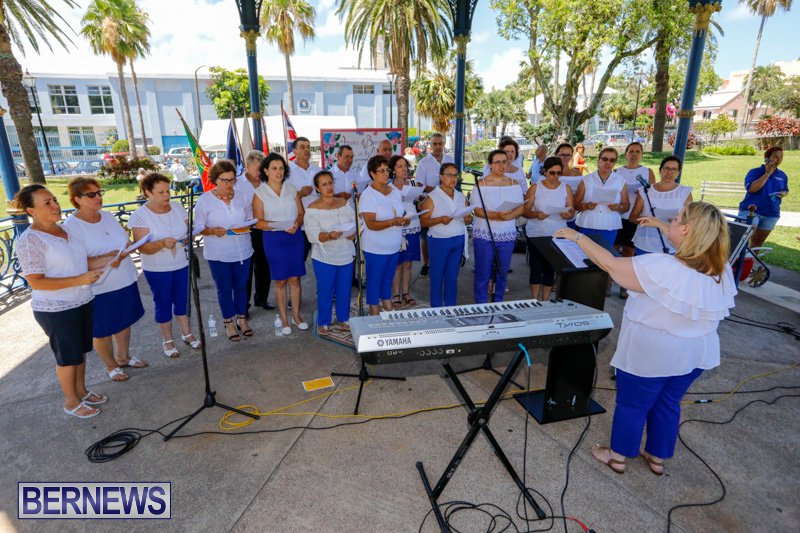 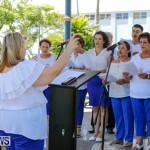 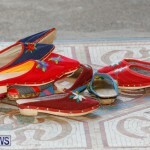 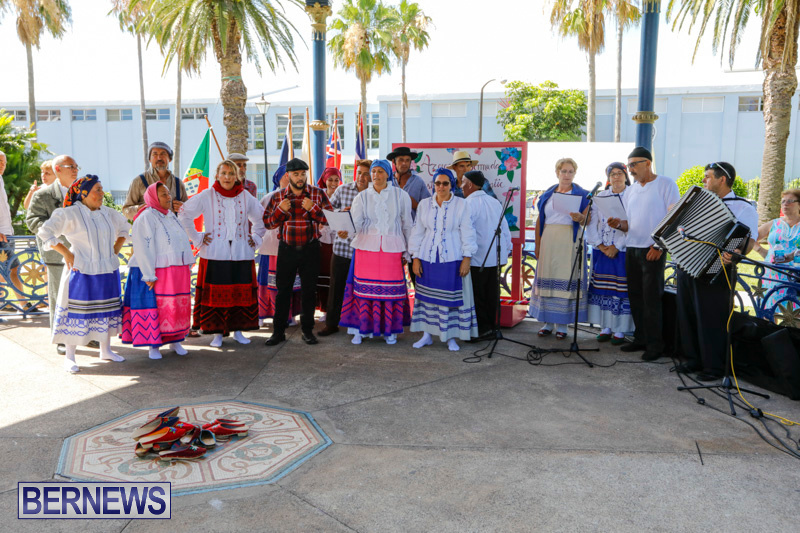 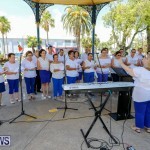 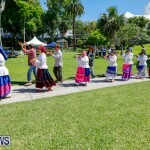 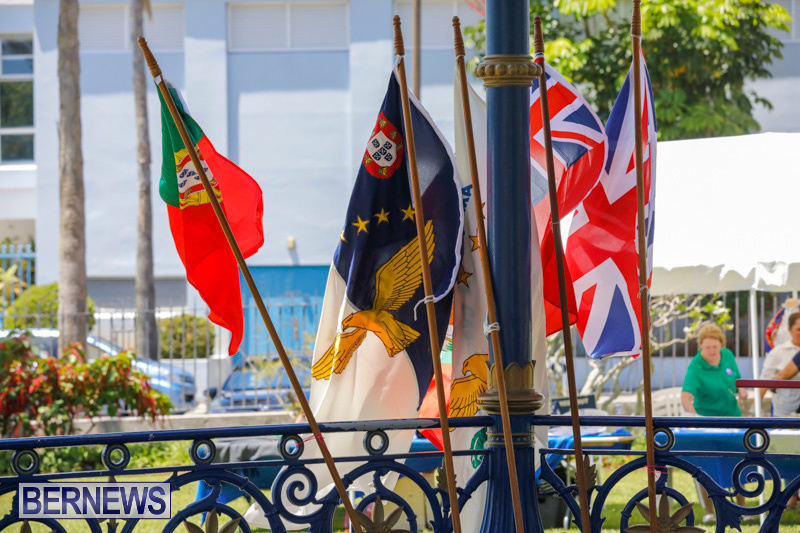 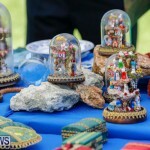 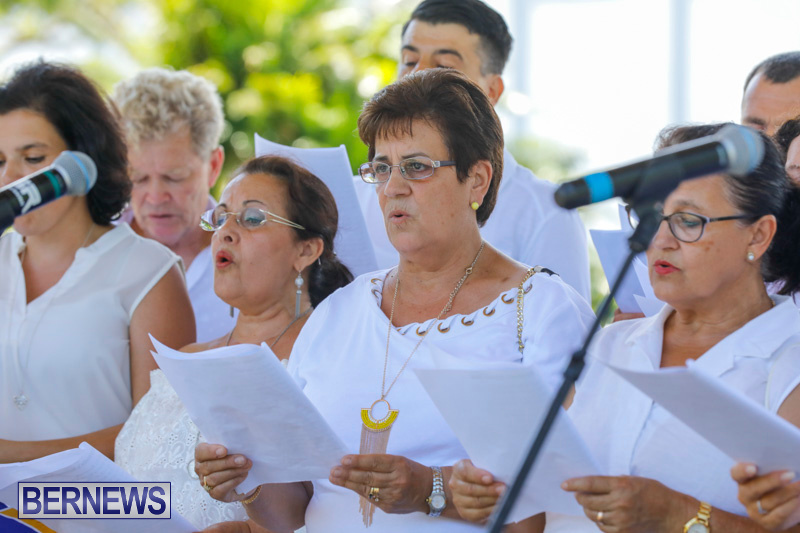 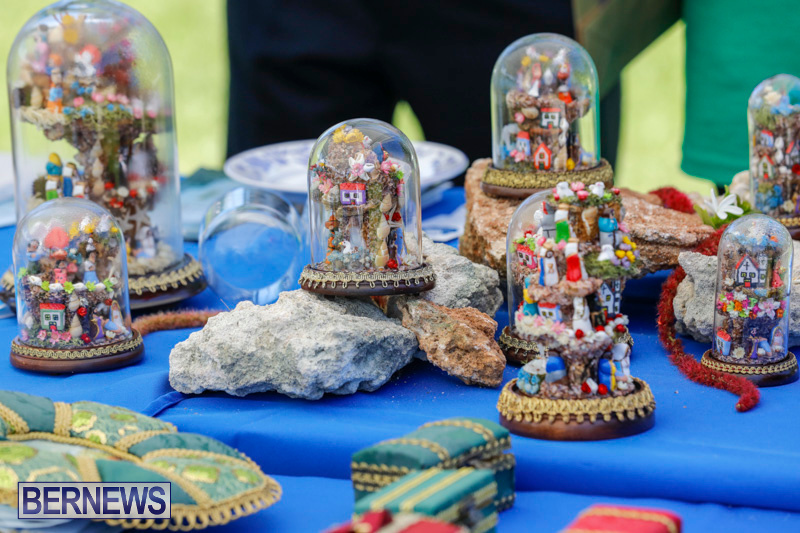 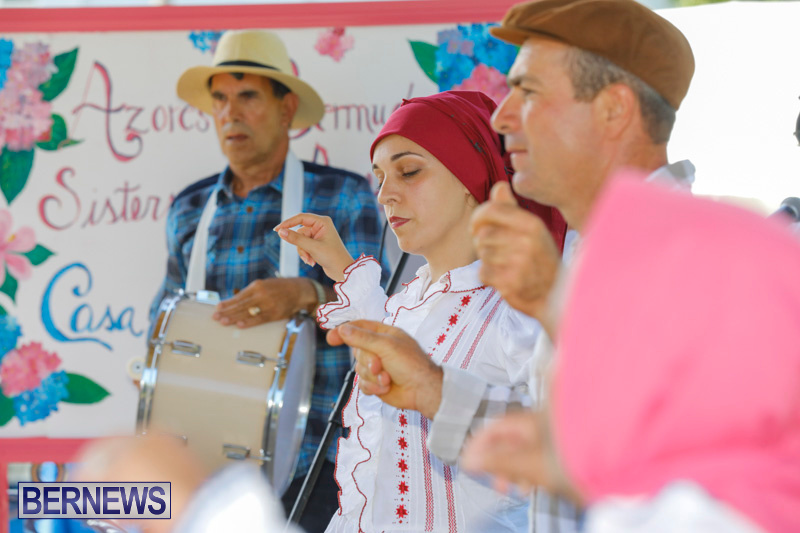 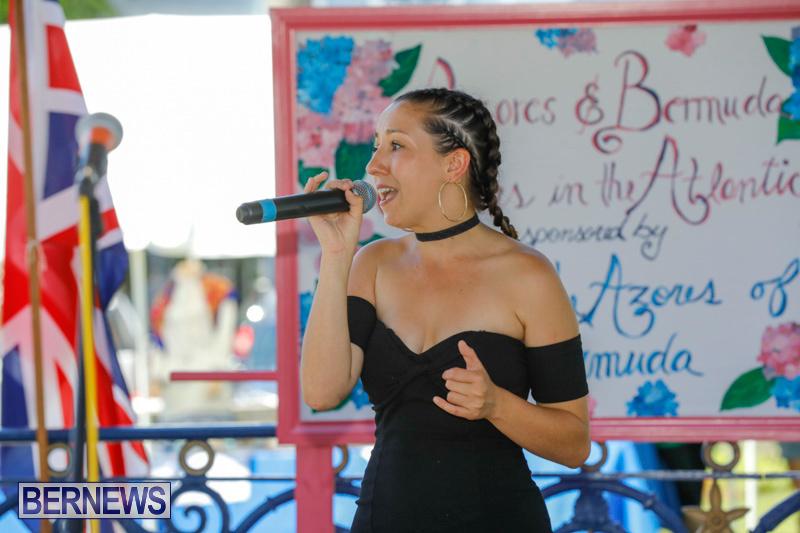 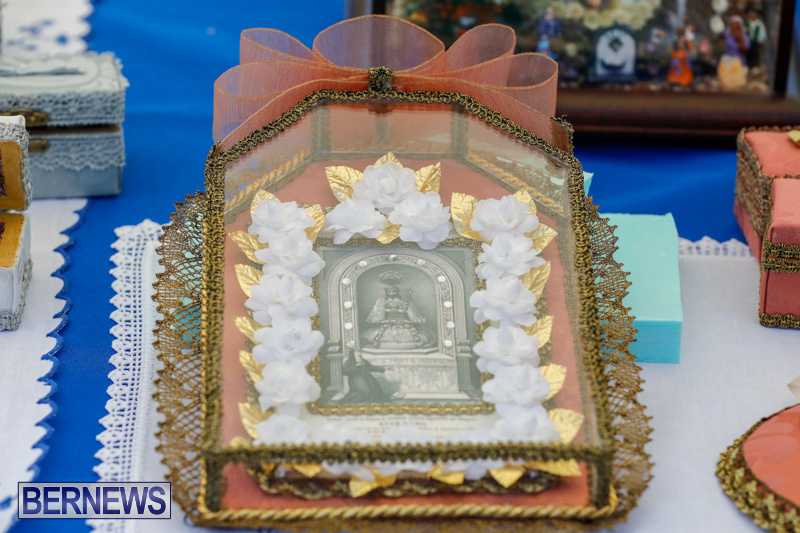 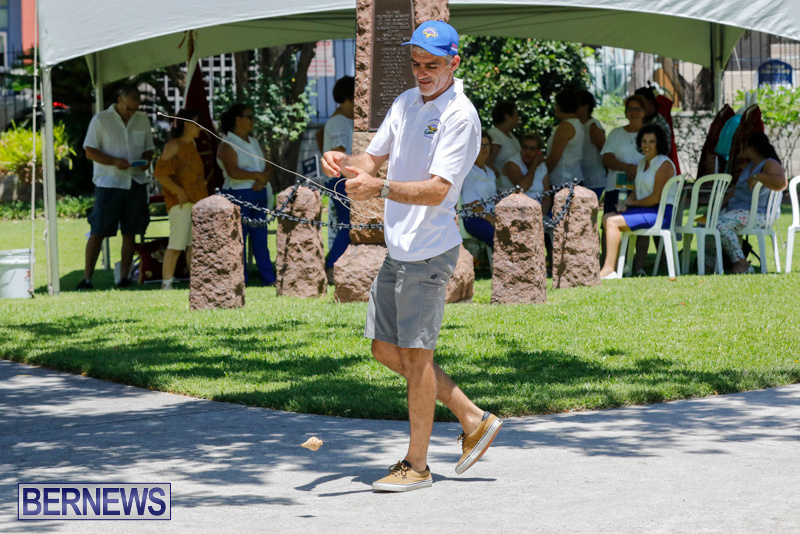 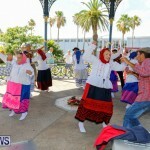 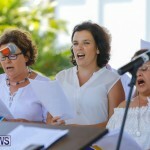 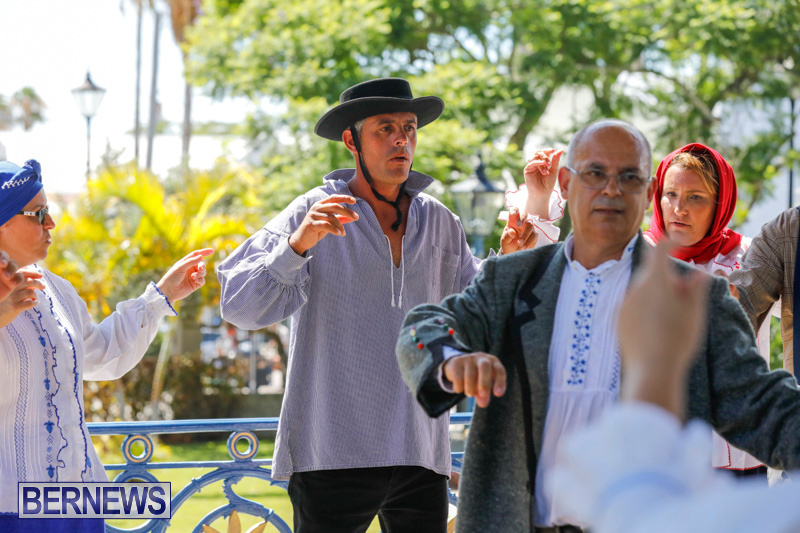 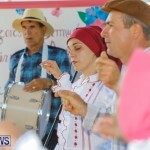 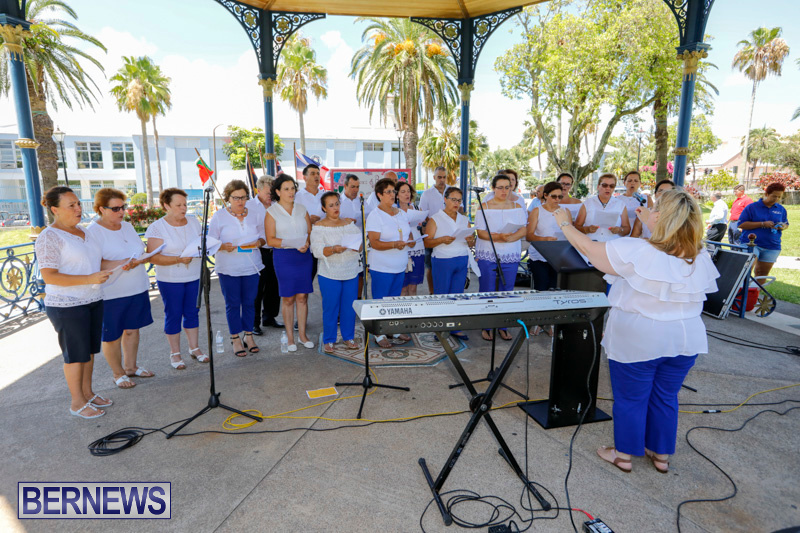 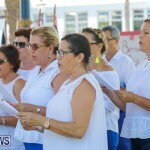 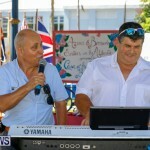 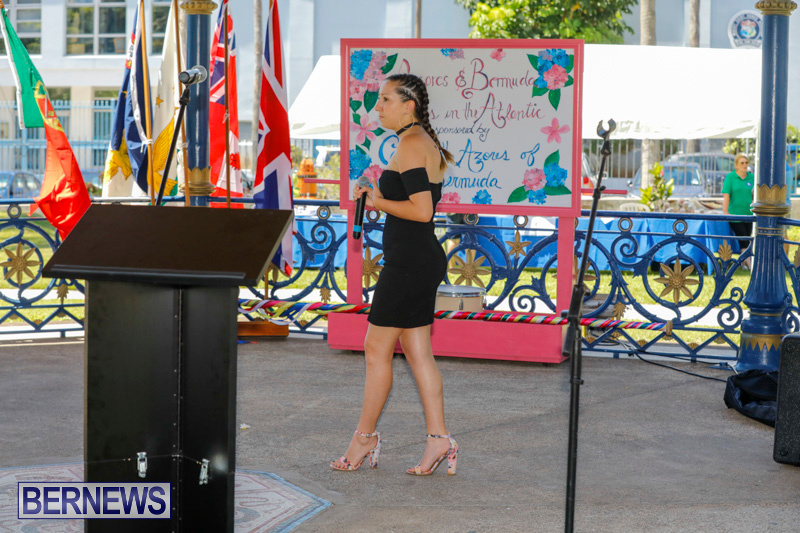 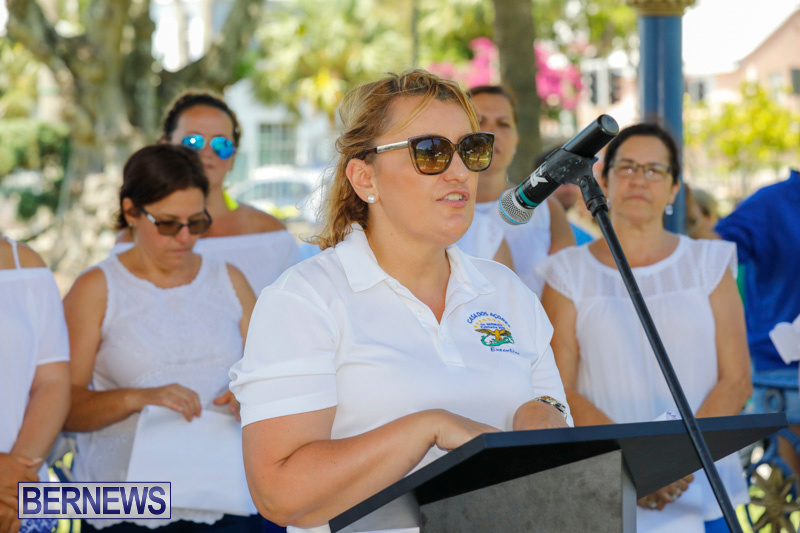 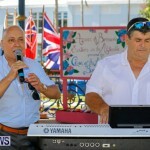 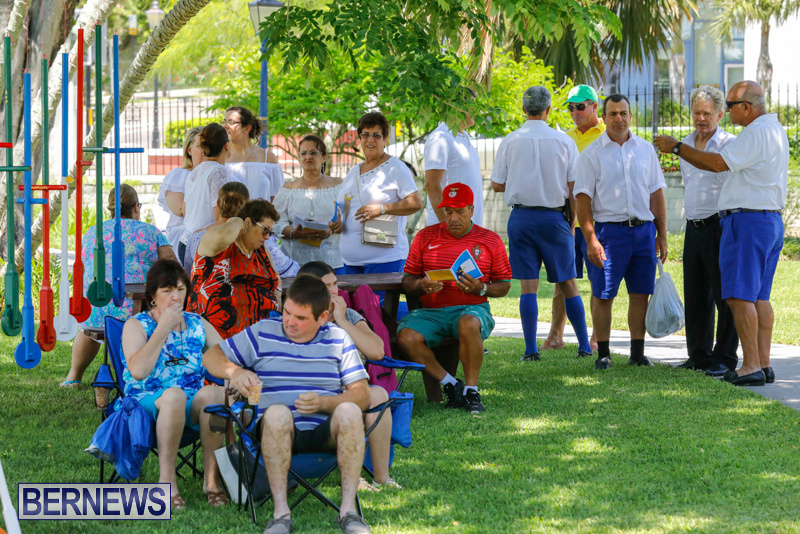 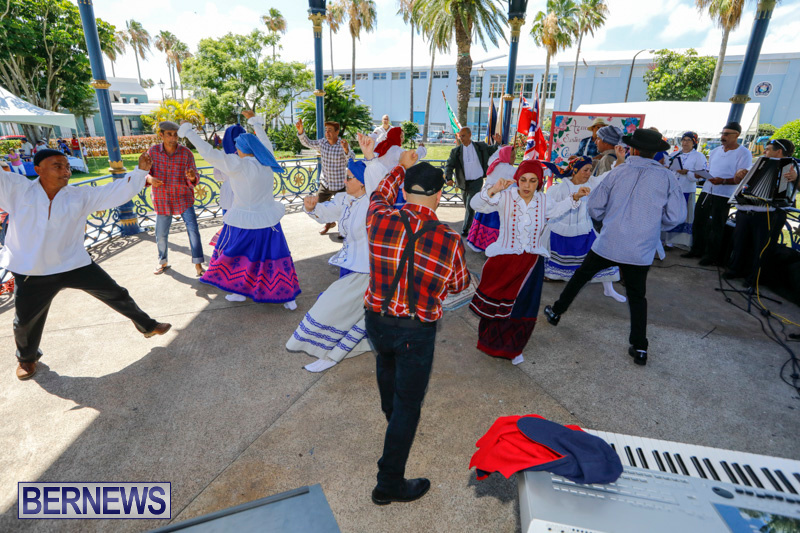 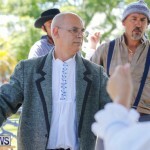 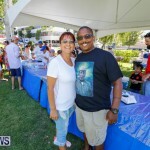 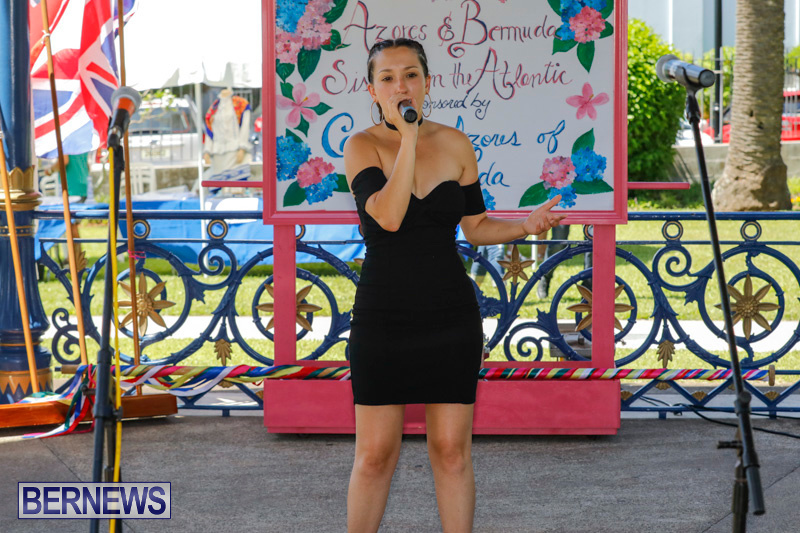 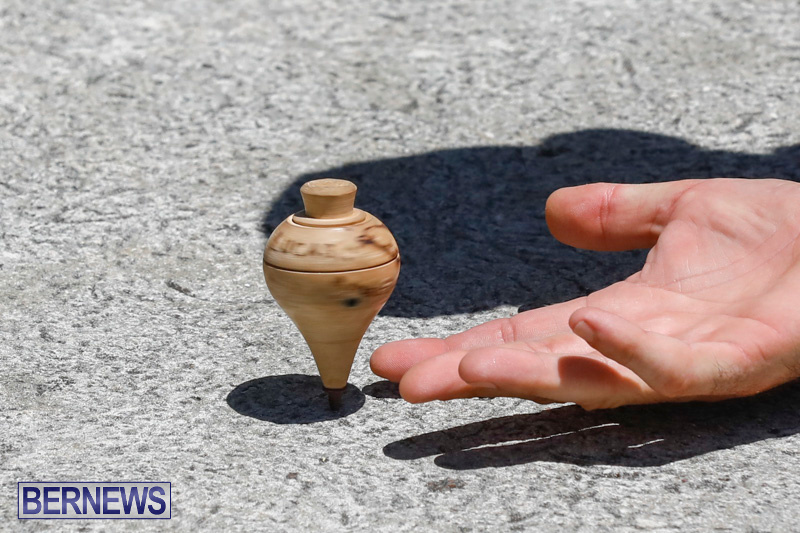 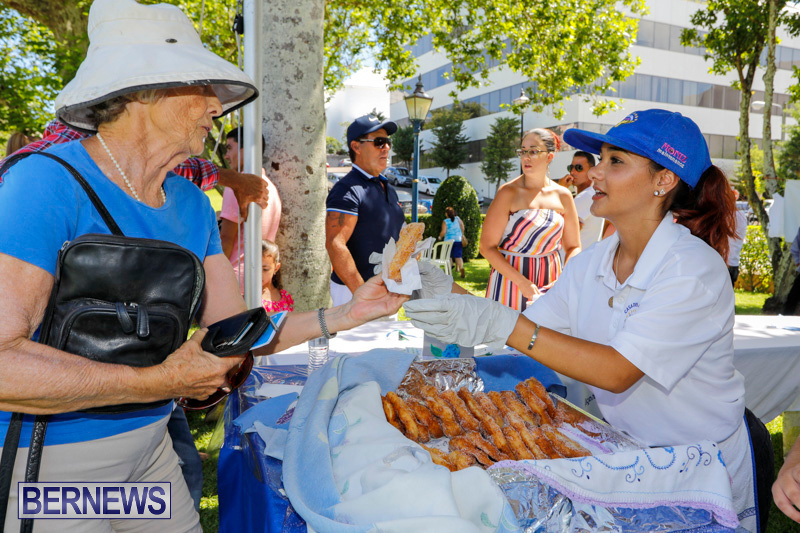 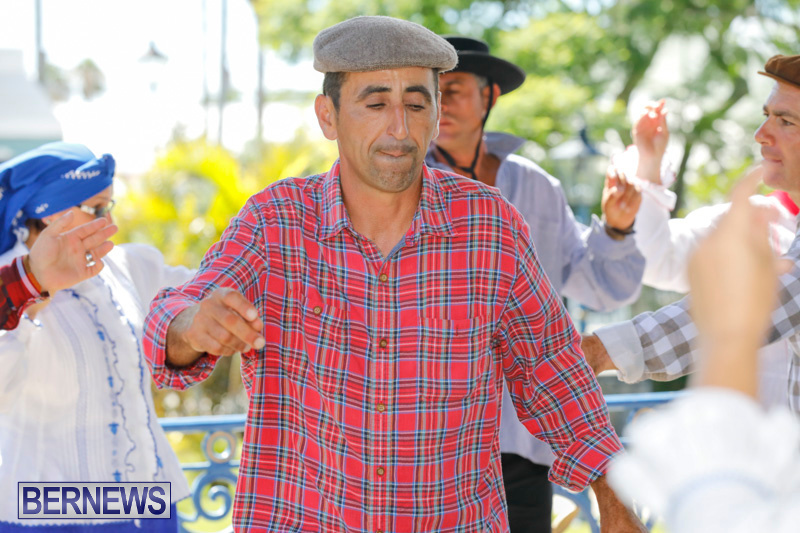 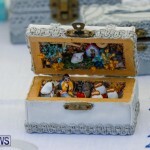 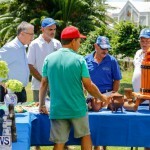 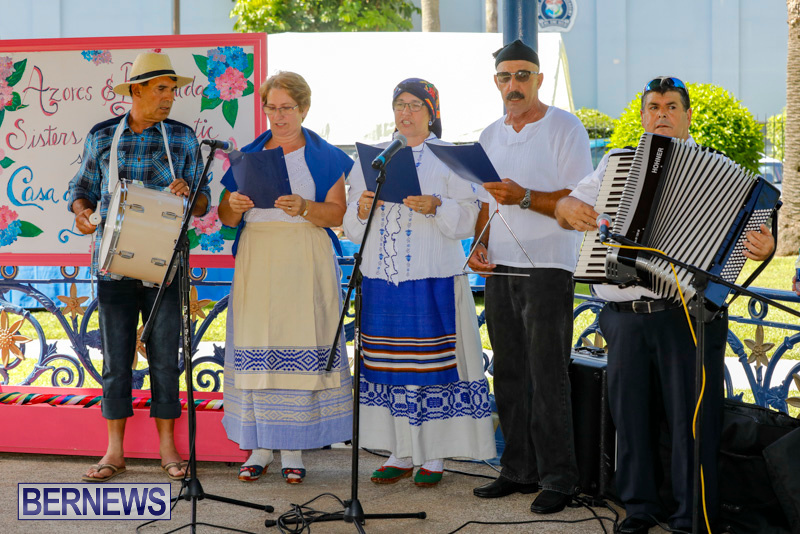 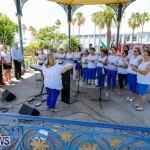 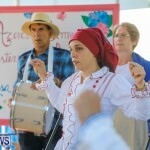 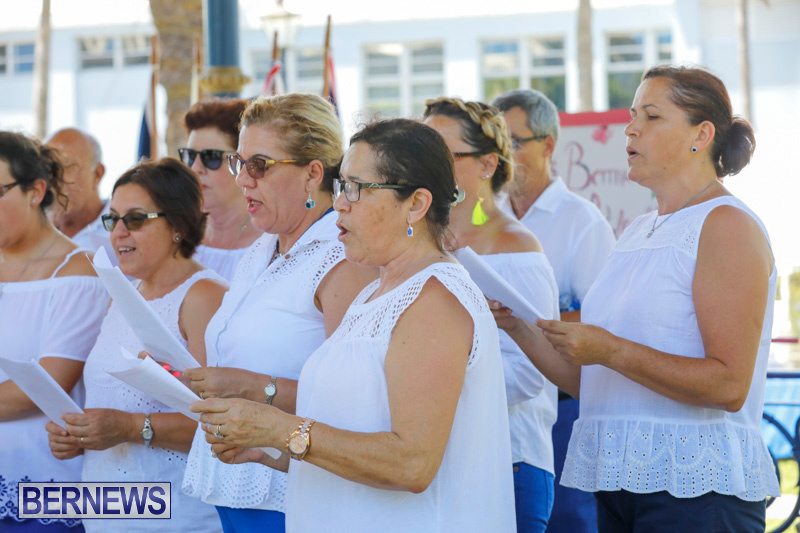 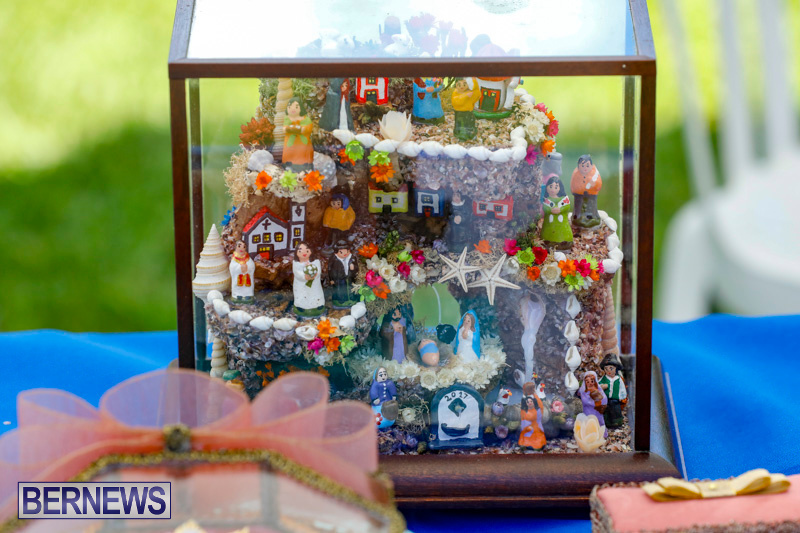 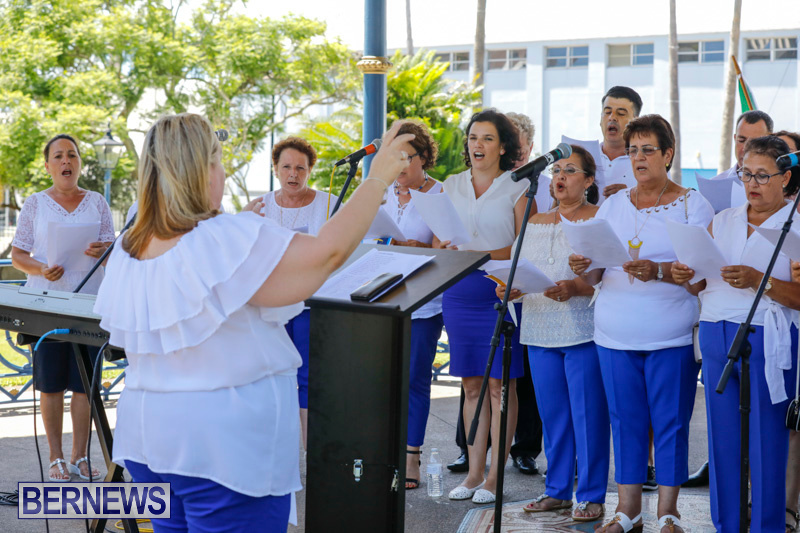 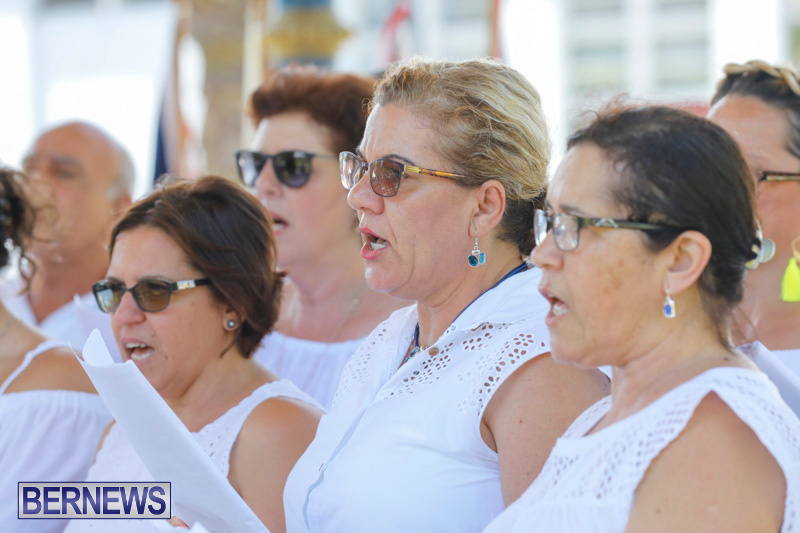 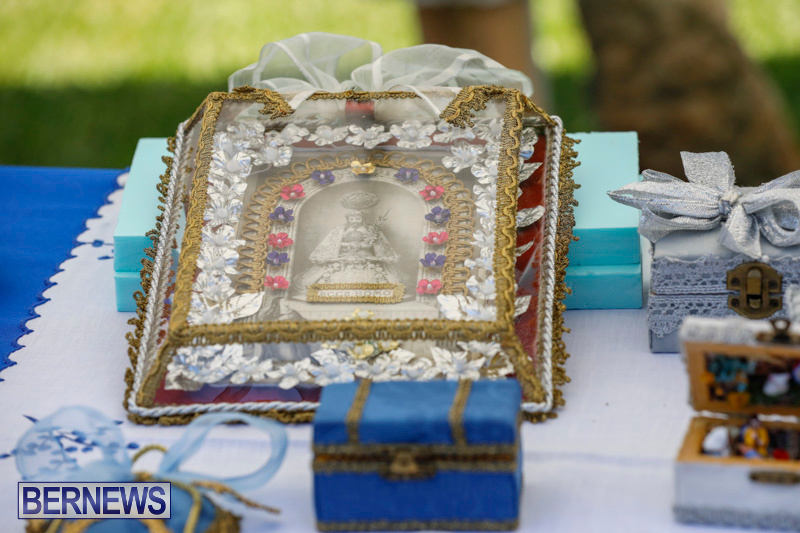 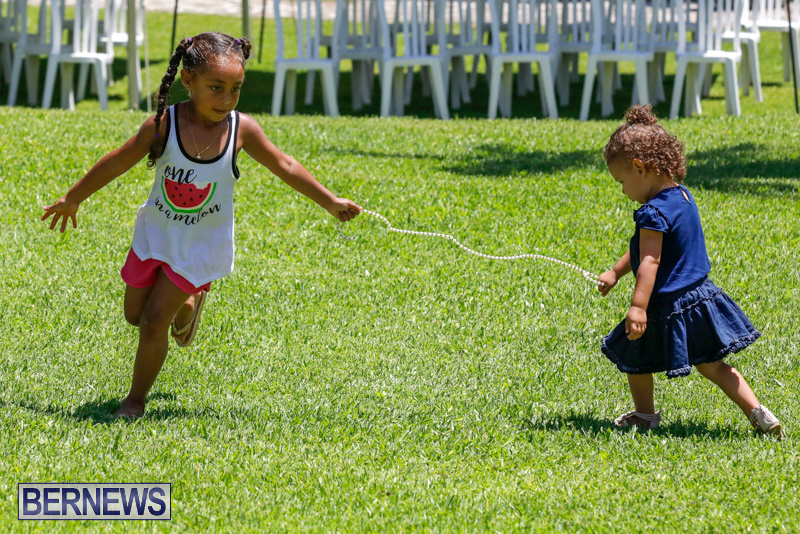 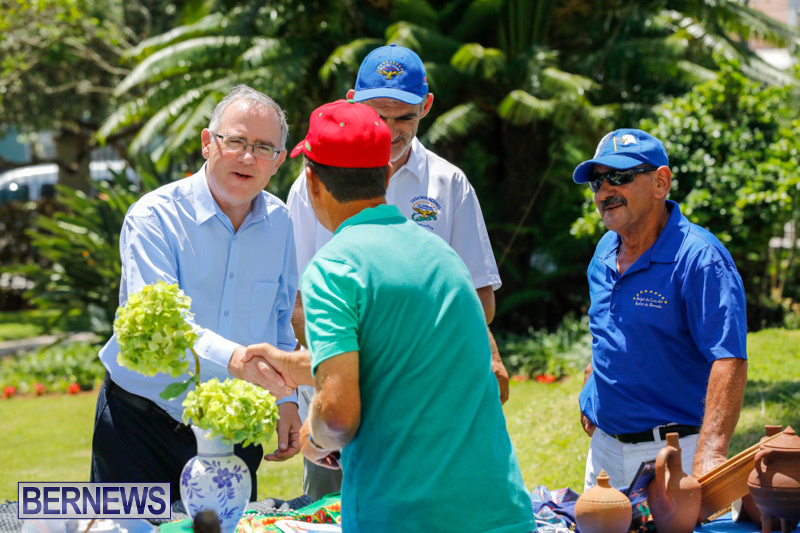 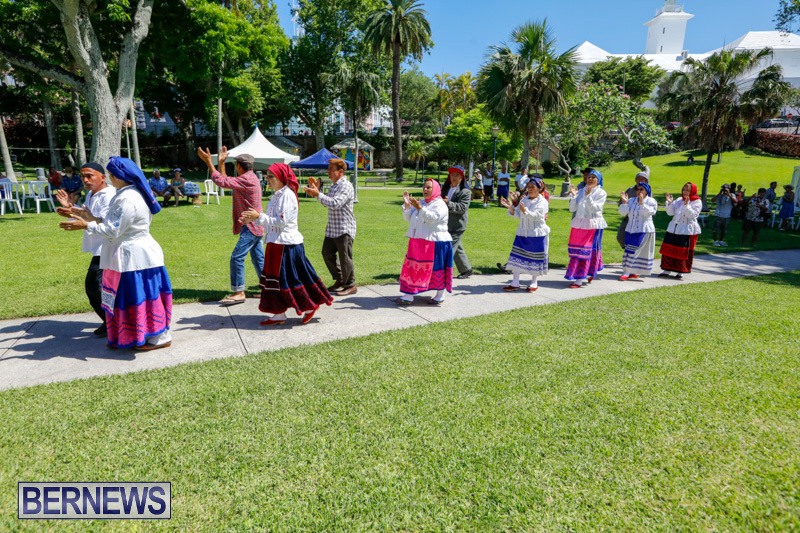 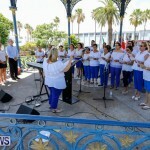 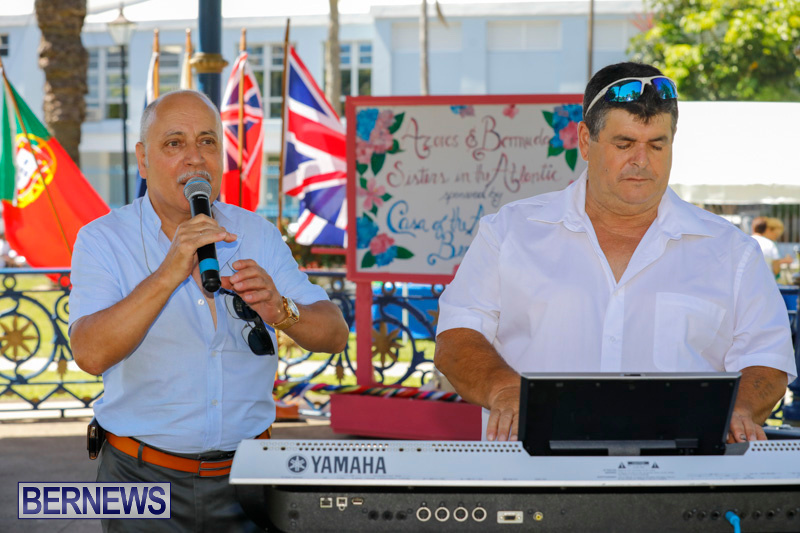 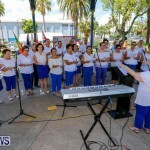 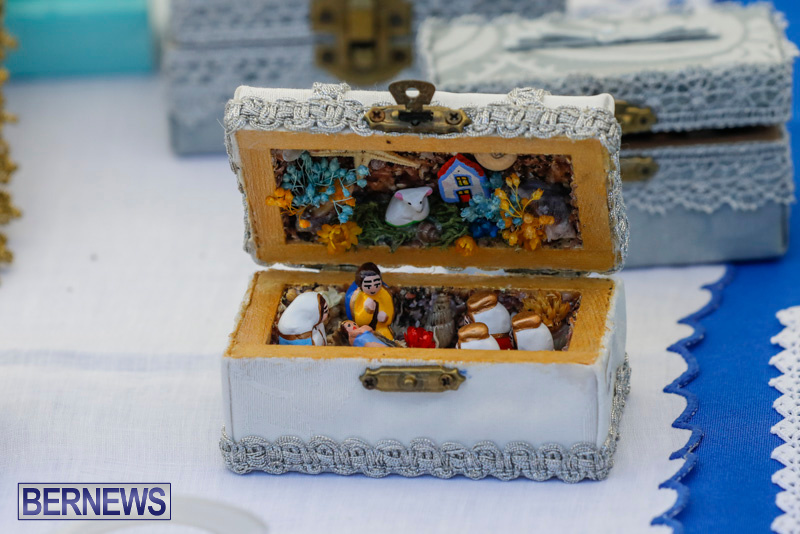 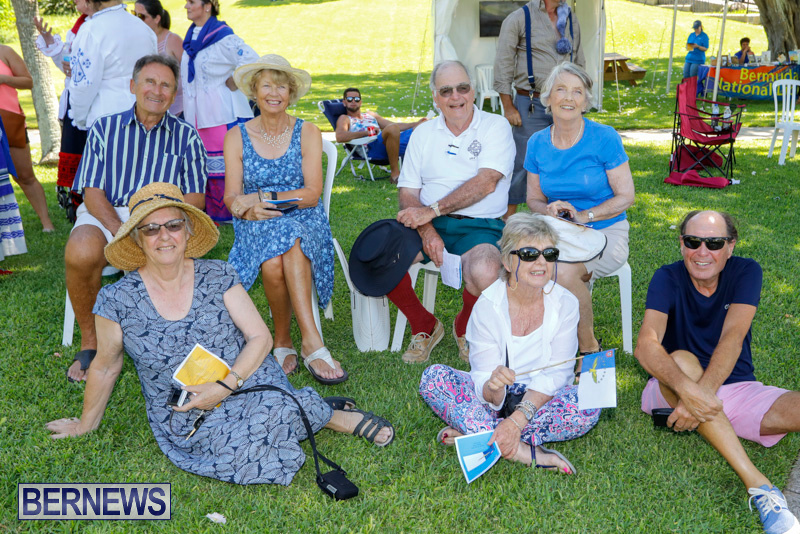 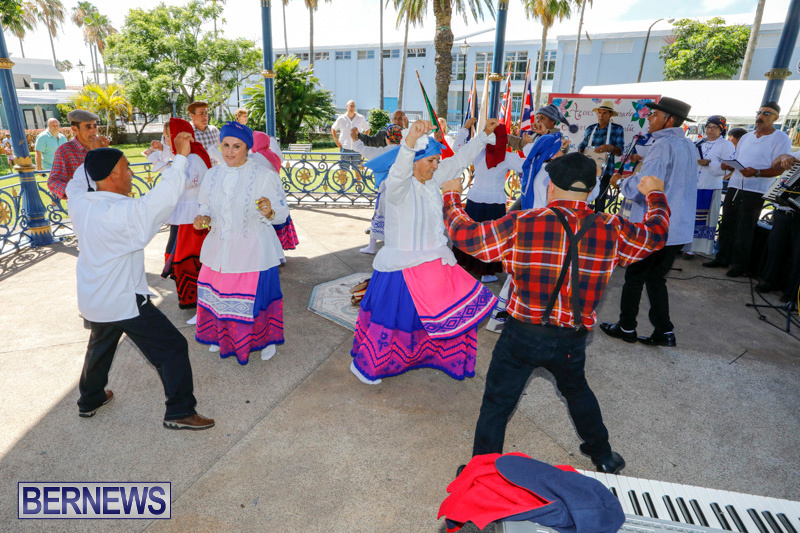 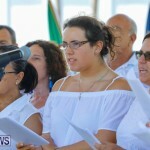 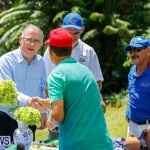 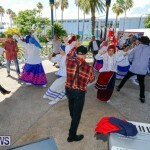 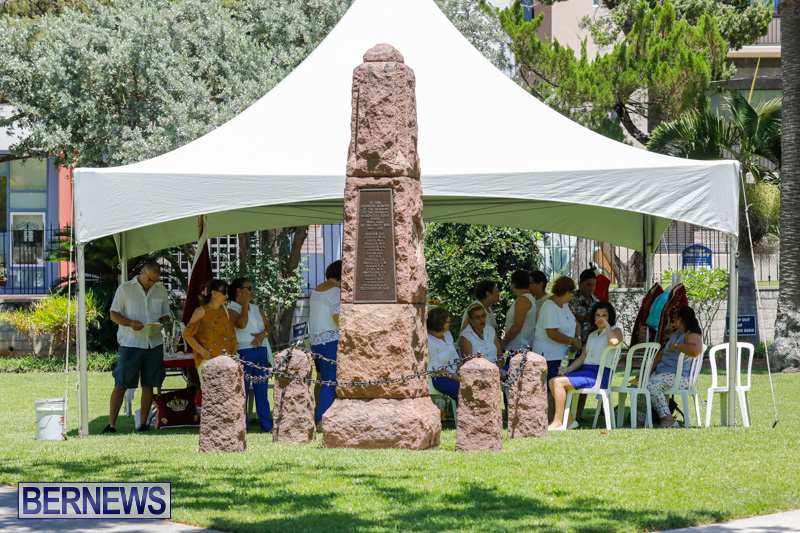 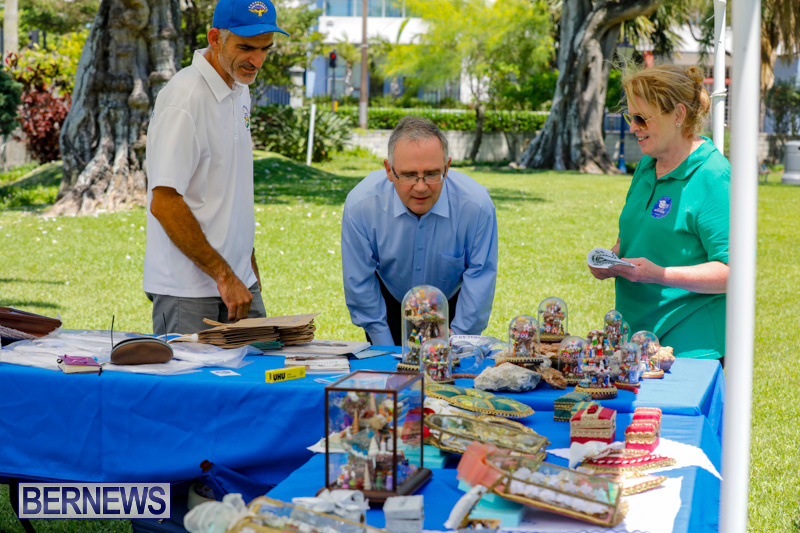 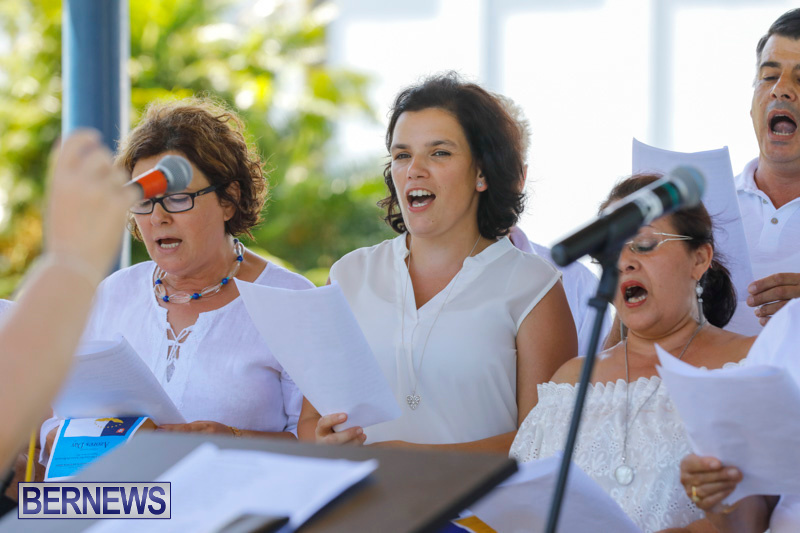 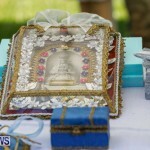 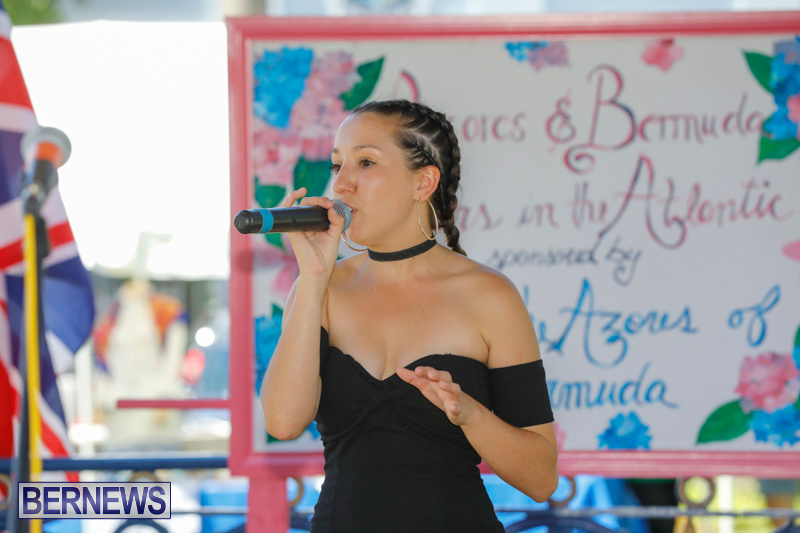 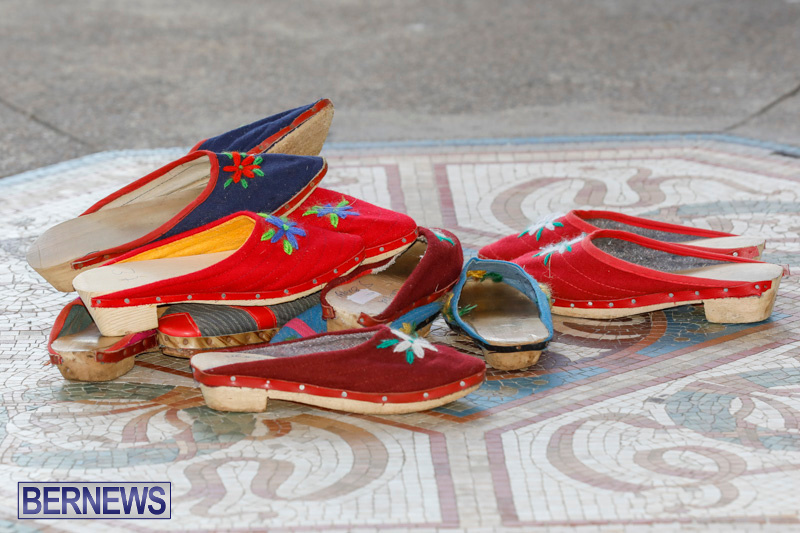 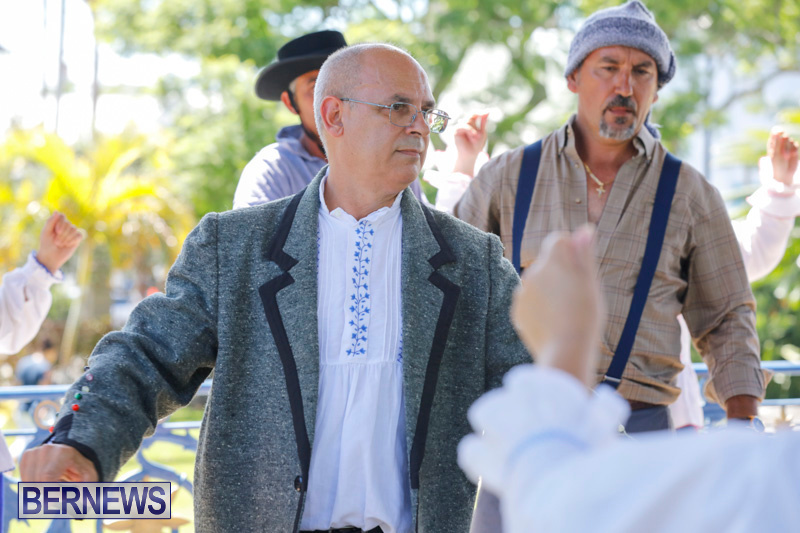 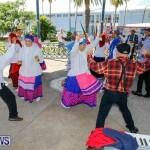 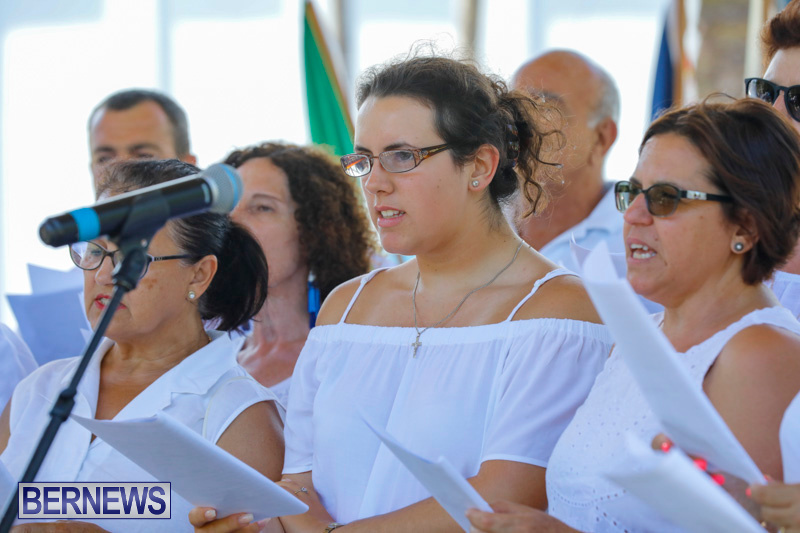 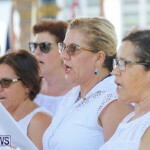 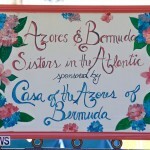 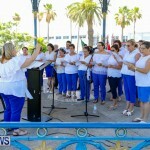 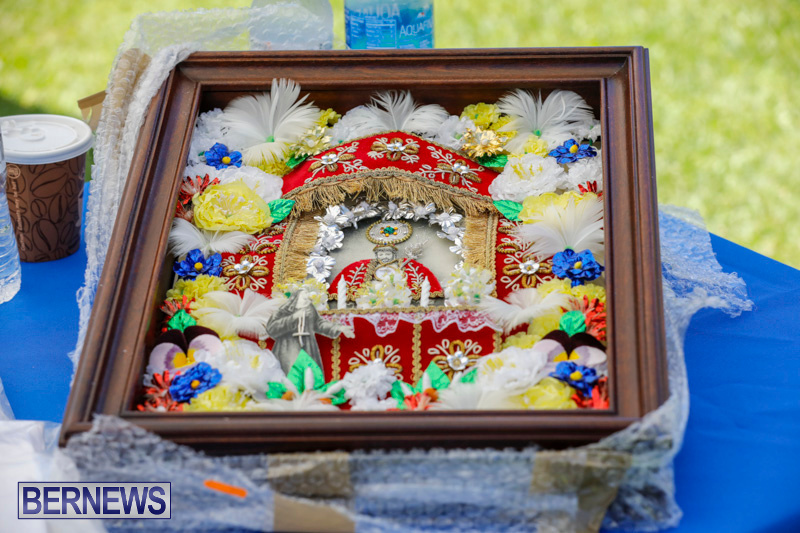 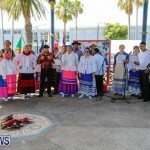 The event celebrated Azorean culture and included live entertainment, arts and crafts displays, a Bermuda Library display, dancing and more. 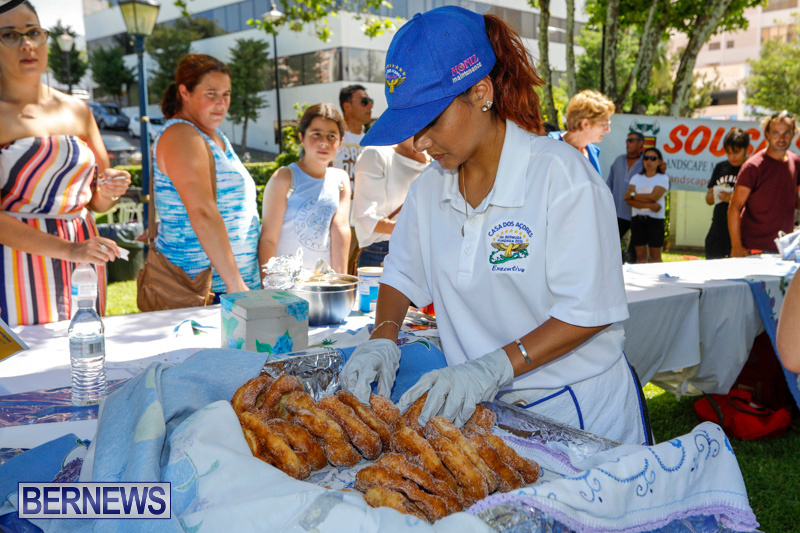 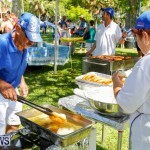 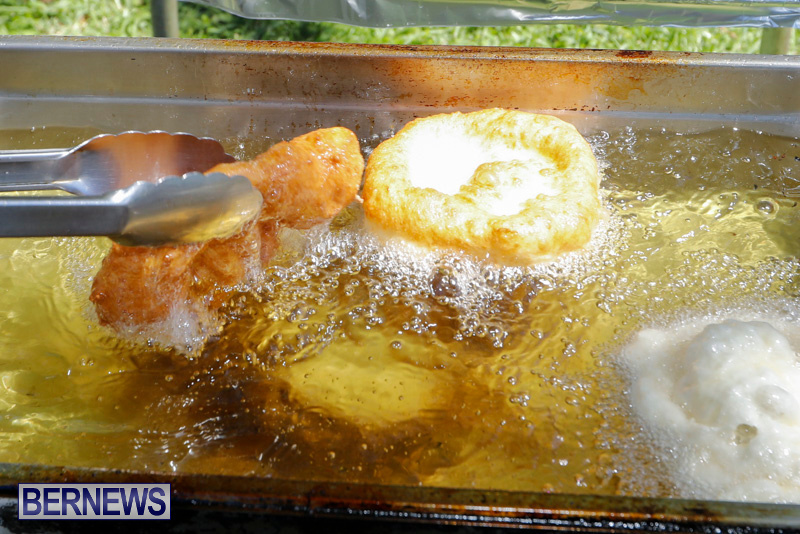 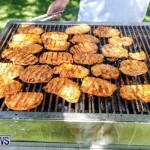 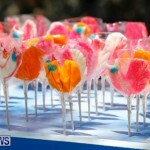 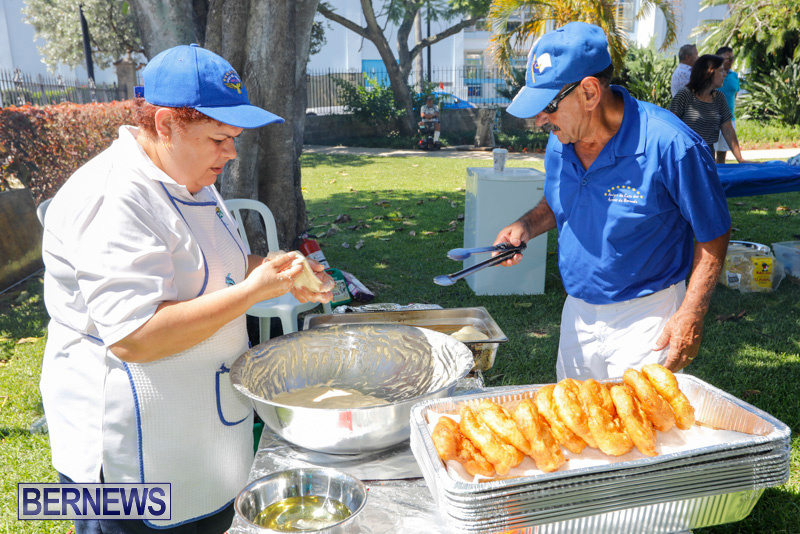 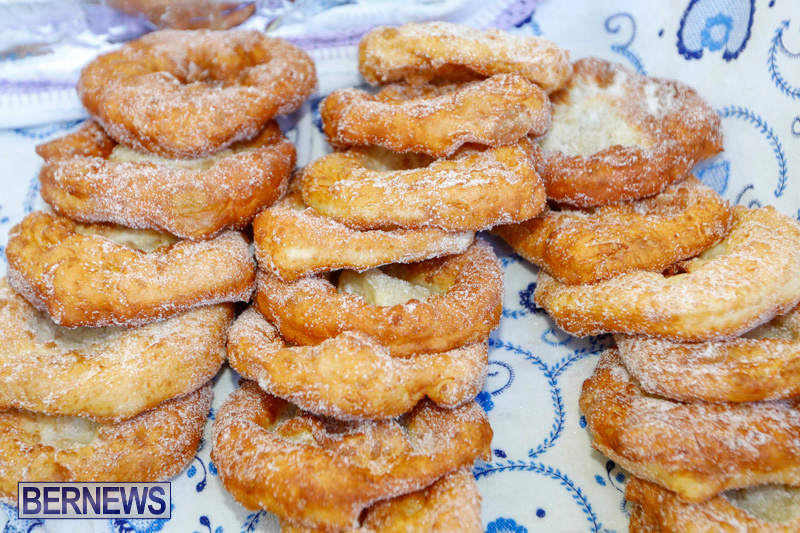 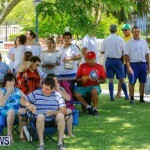 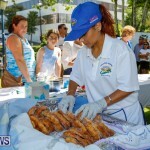 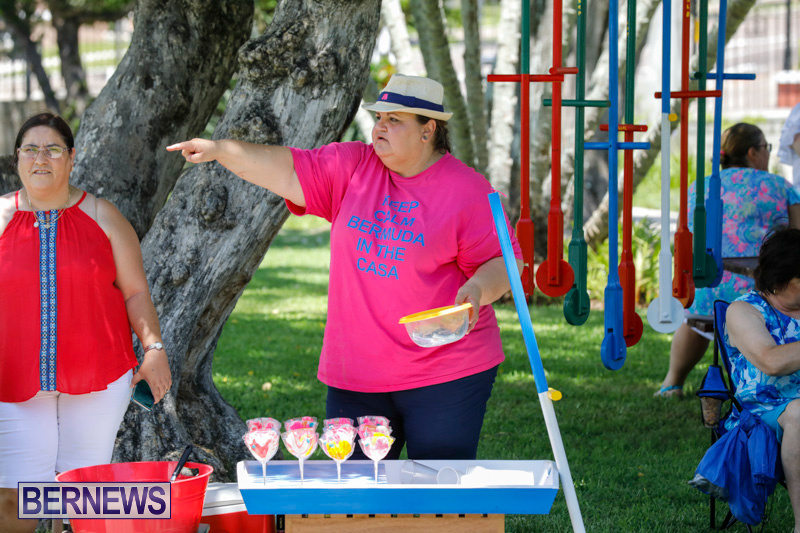 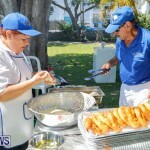 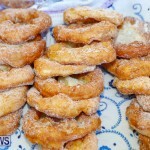 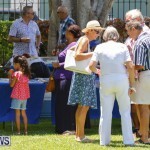 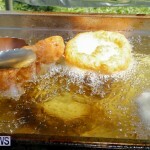 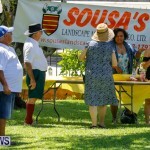 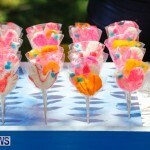 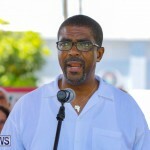 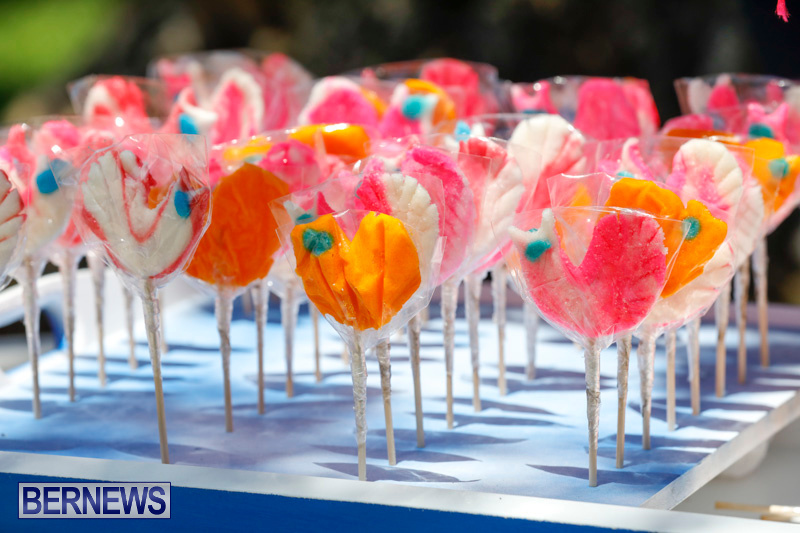 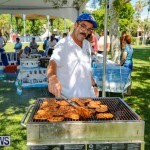 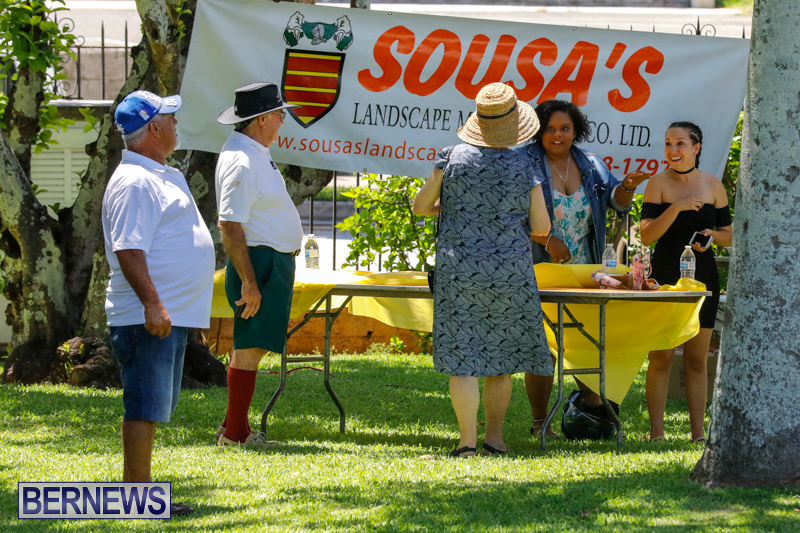 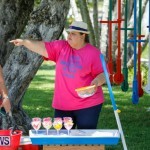 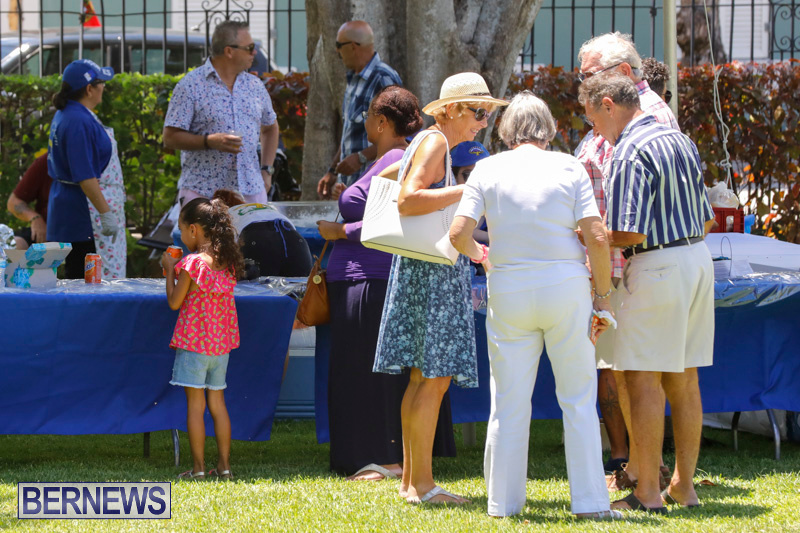 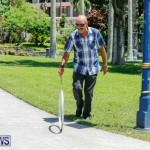 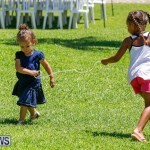 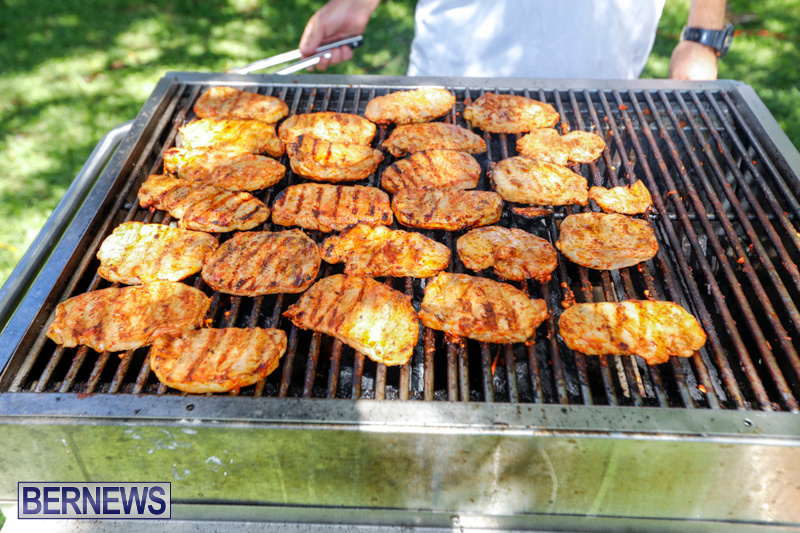 Food and refreshments were available for purchase and included chourico or pork sandwiches, Azorean lollipops, and malassadas [Portuguese donuts]. 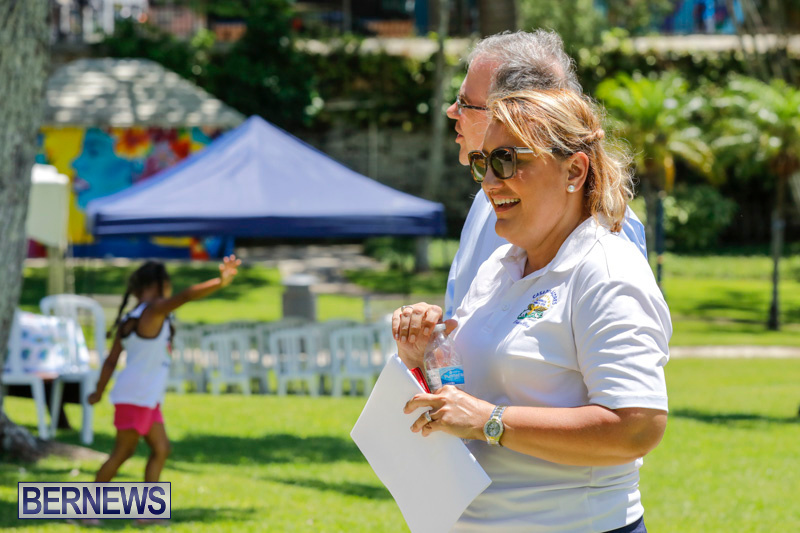 Minister of Social Development & Sport Michael Weeks joined Casa dos Acores president Andrea Moniz-DeSouza in giving welcoming remarks. 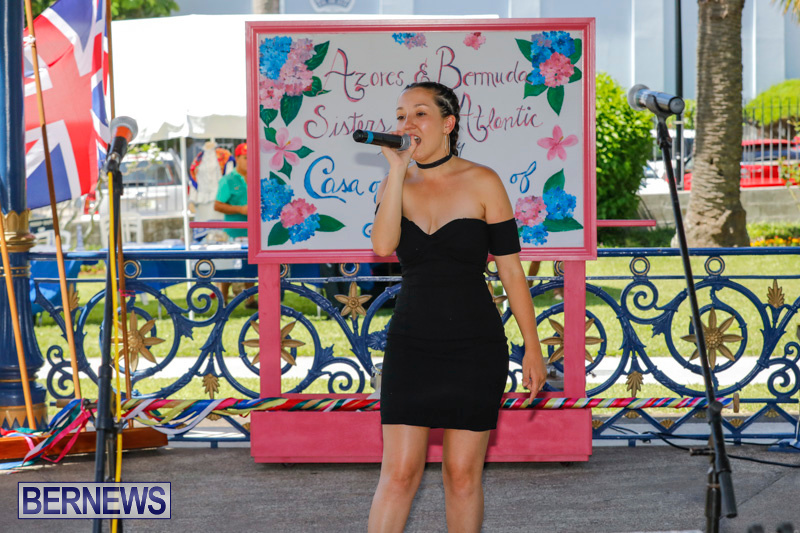 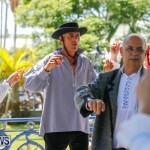 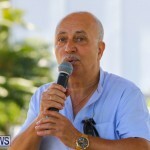 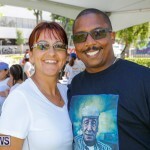 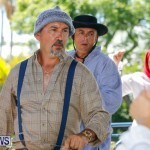 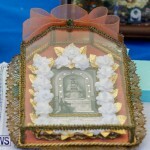 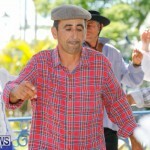 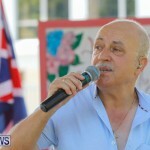 Entertainment included performances by Caroline Araujo, Joao Pimentel, Carlos Cabral, Amalia Pontes, Antonino Araujo, and more. 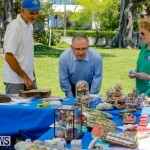 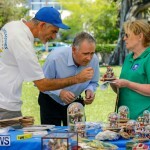 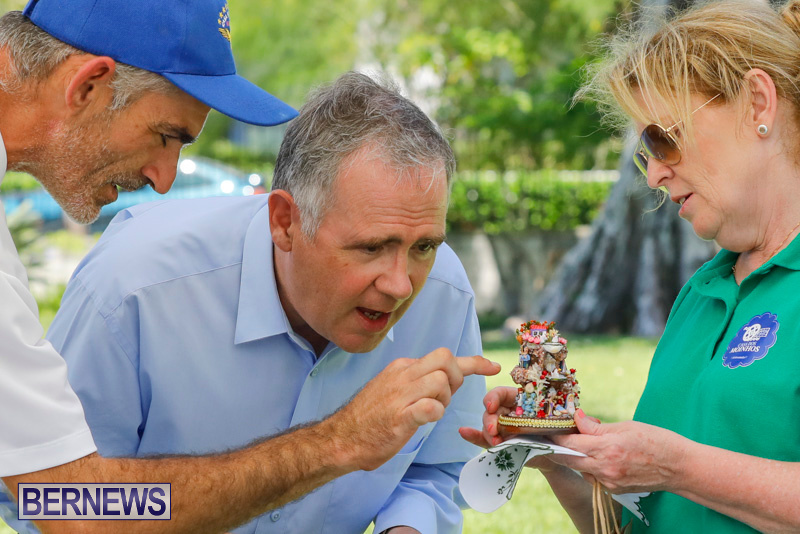 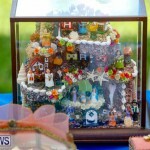 Governor John Rankin stopped by the event, taking in the different displays and enjoying the entertainment.